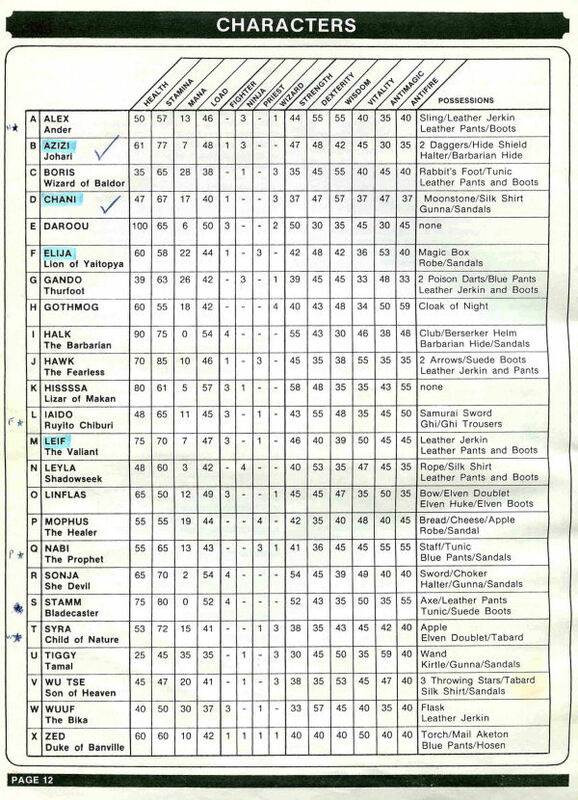 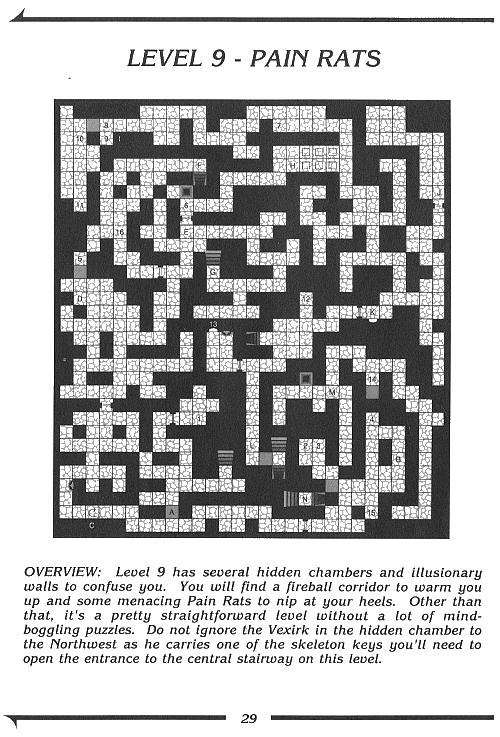 This book is Copyright © 1988 by Computer Publications, Unltd. 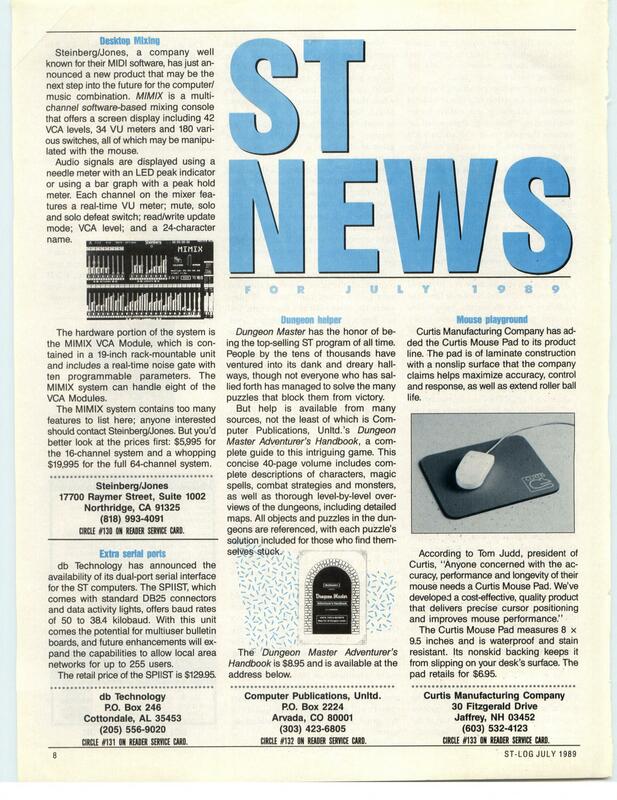 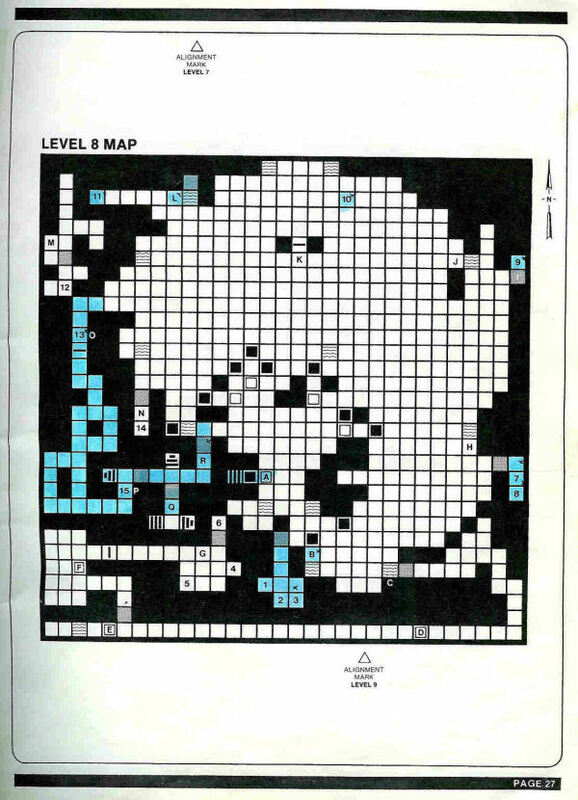 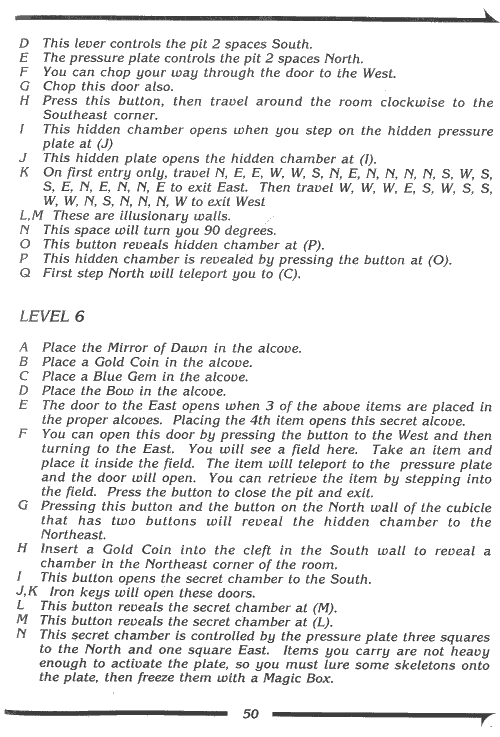 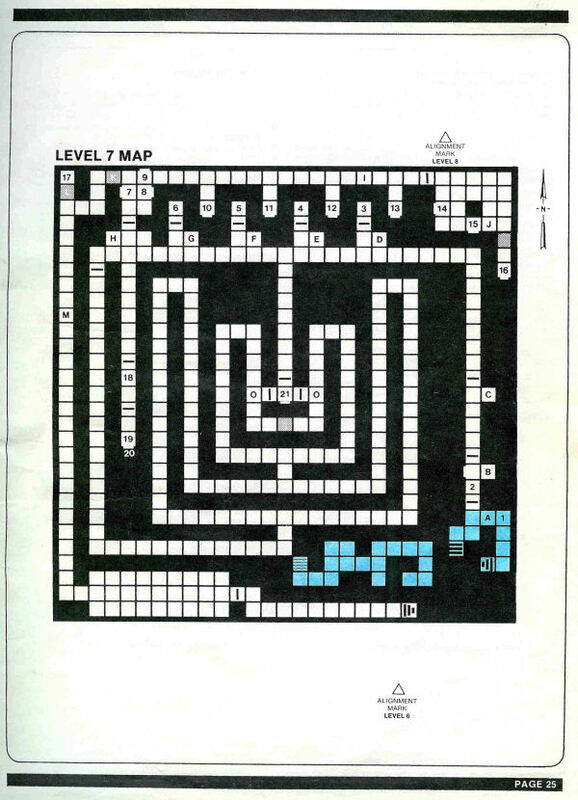 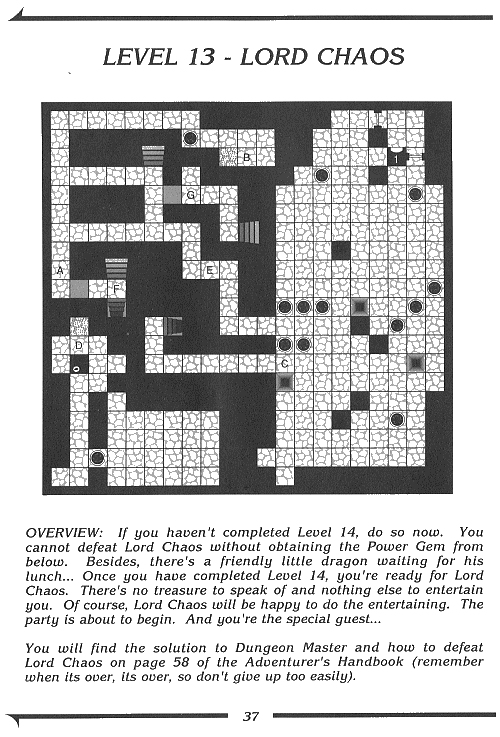 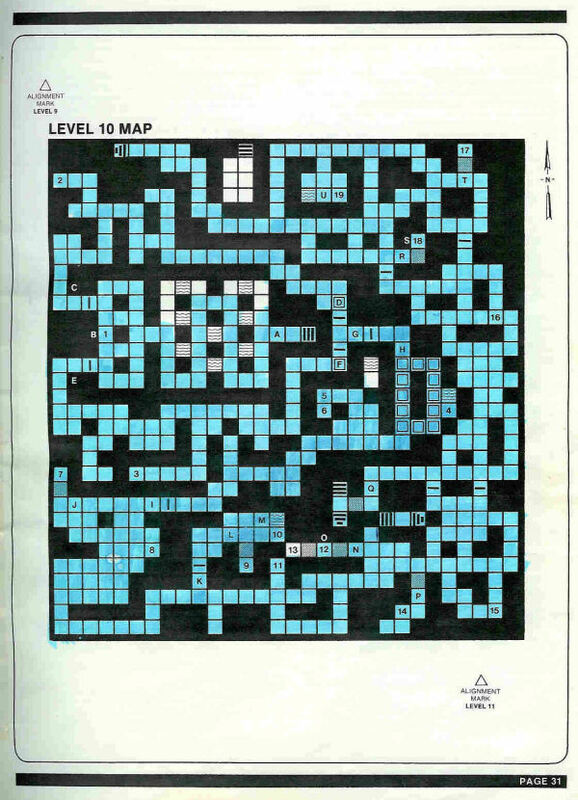 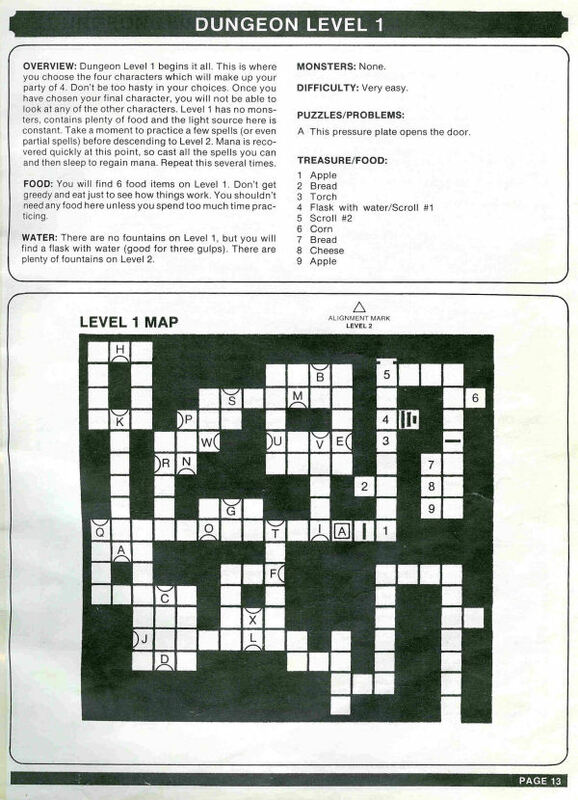 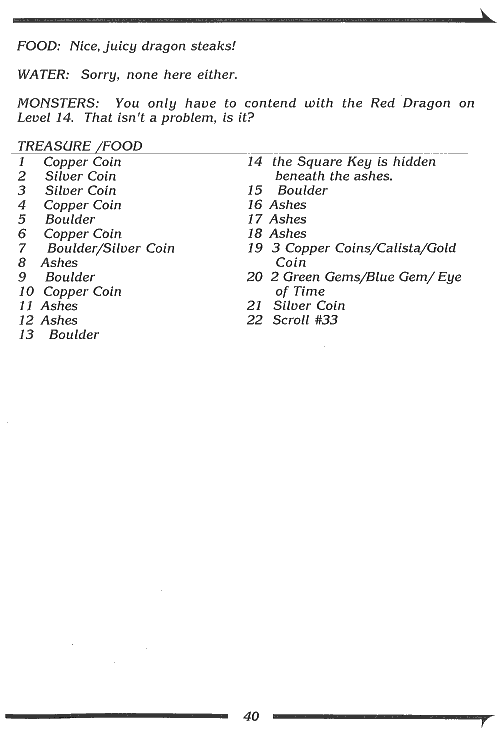 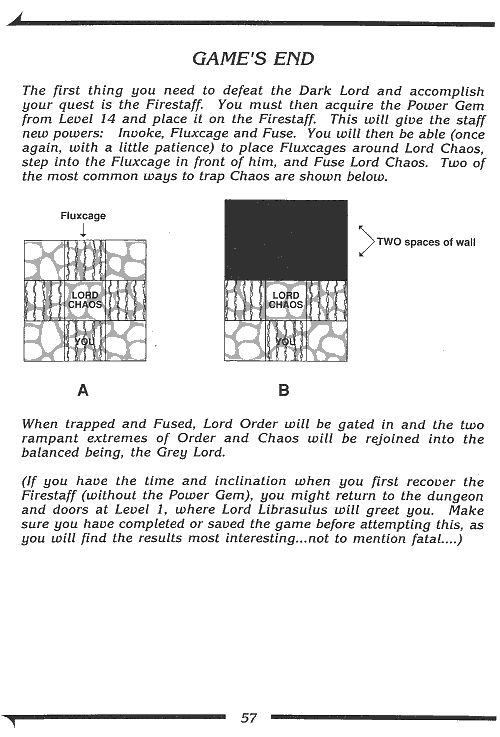 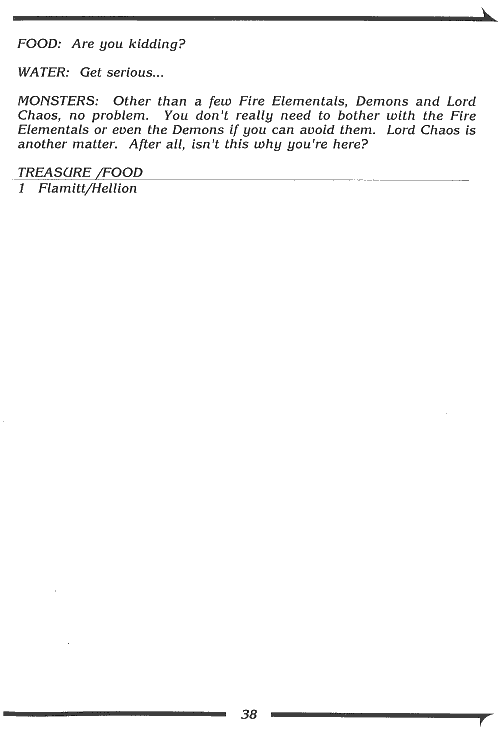 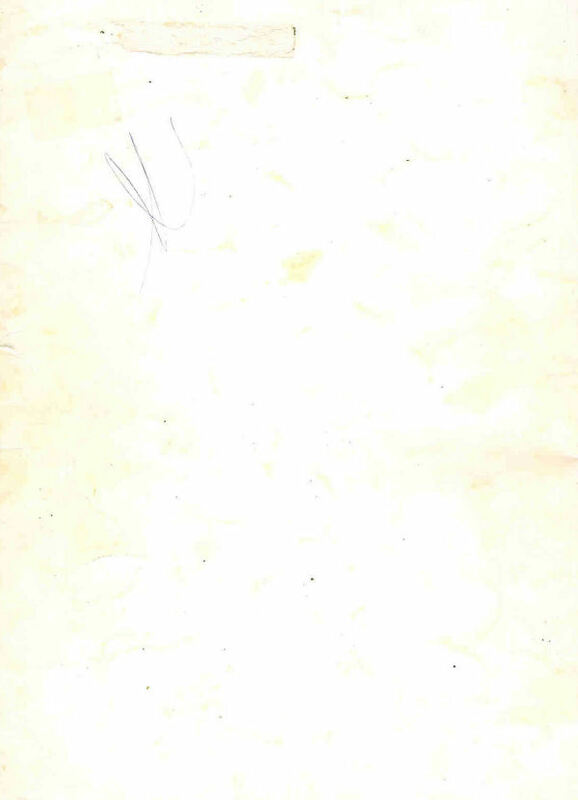 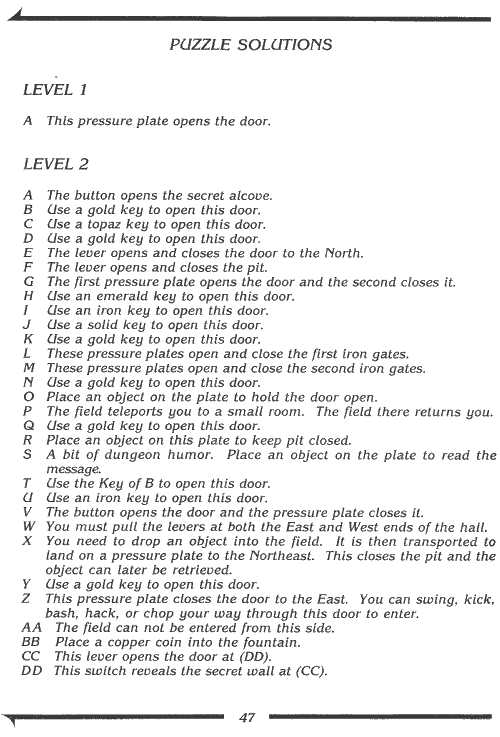 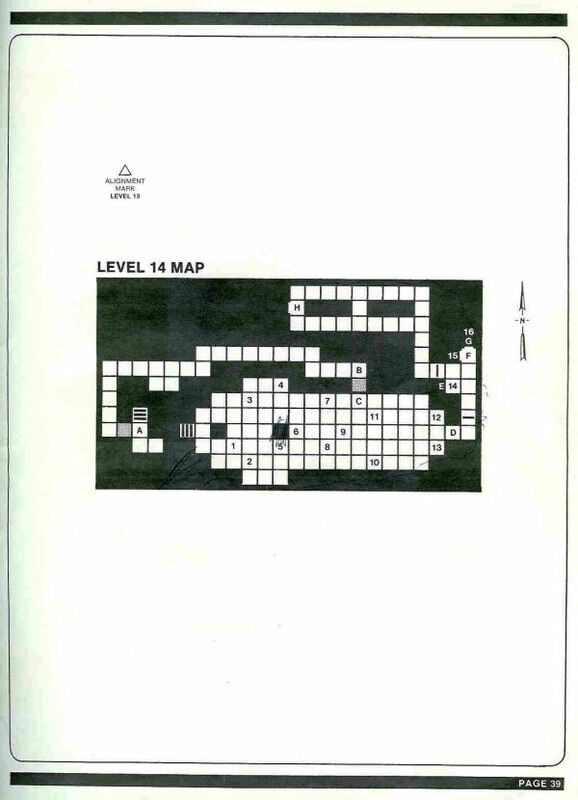 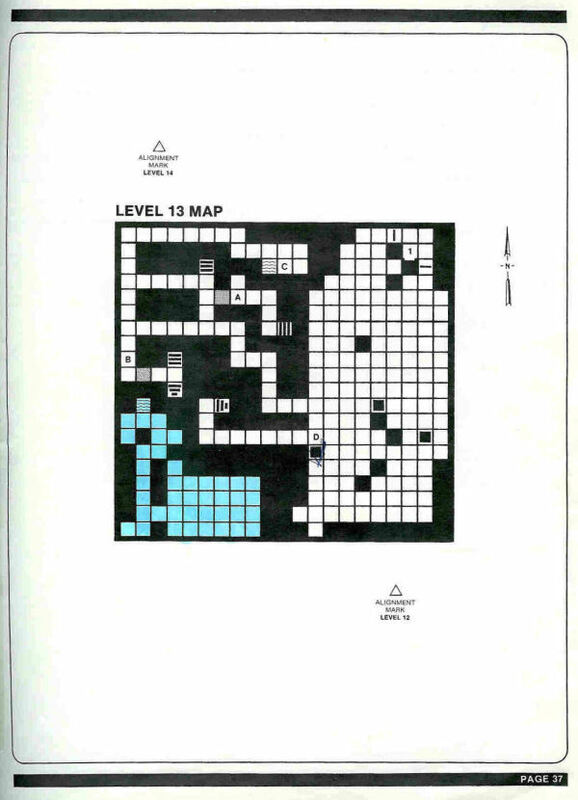 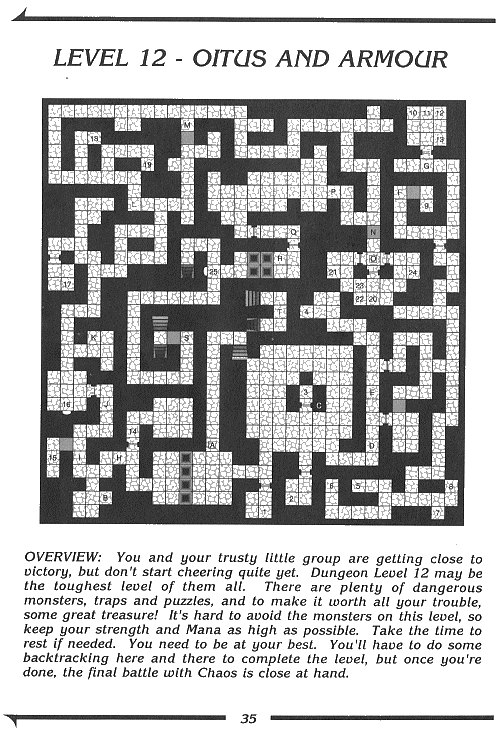 The following text was used to advertise the release of the hint book. 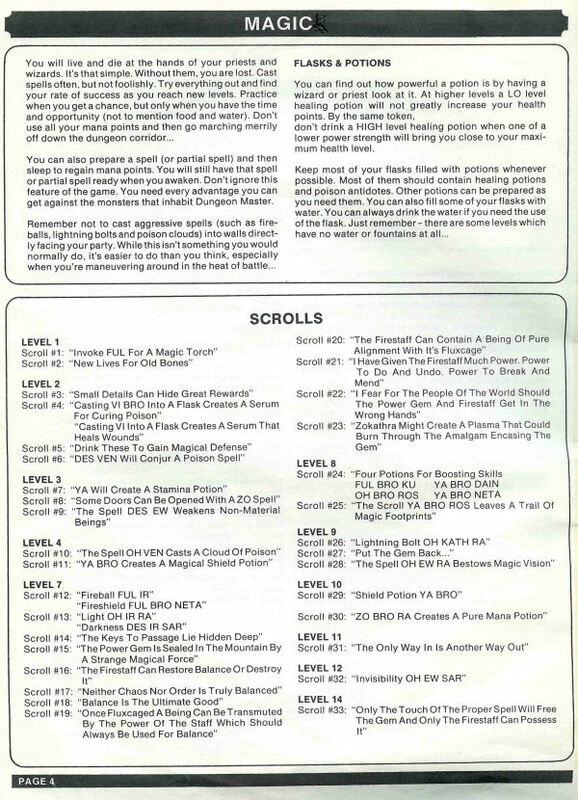 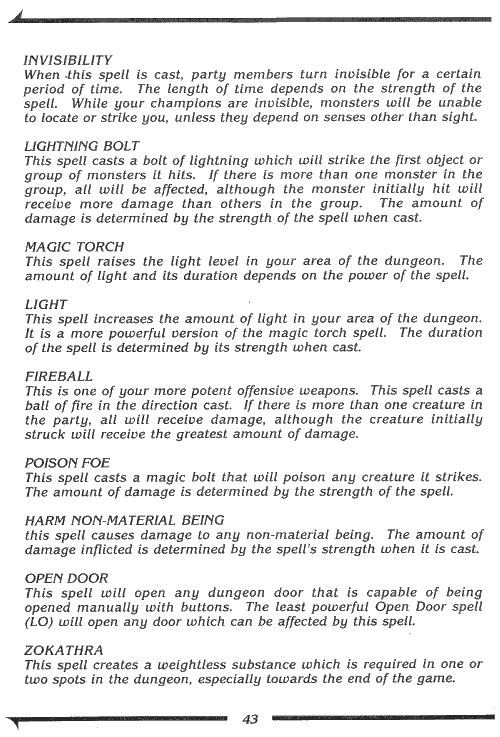 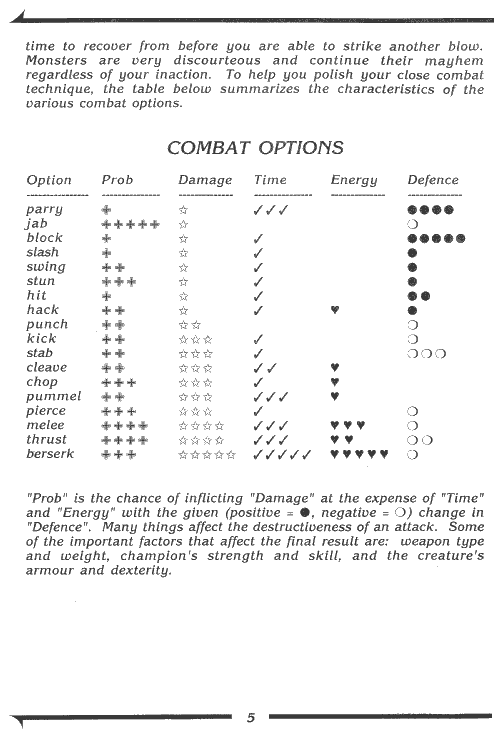 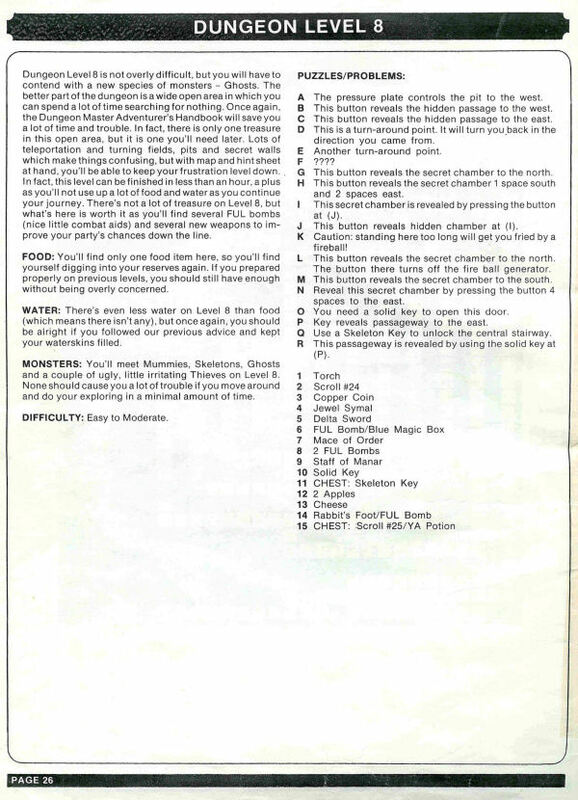 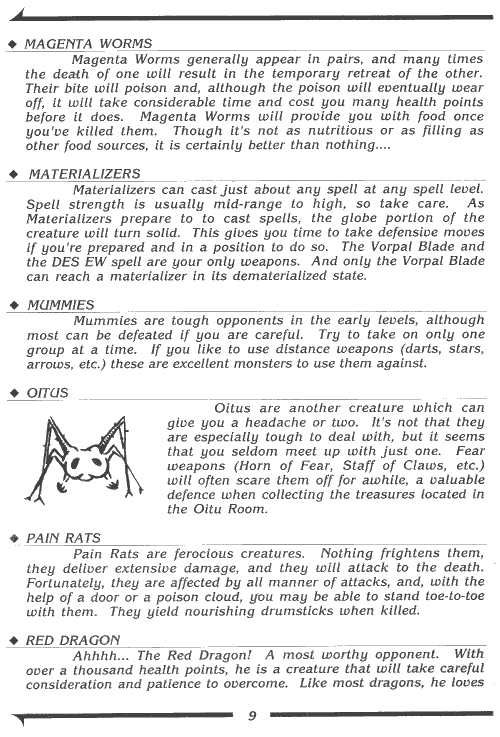 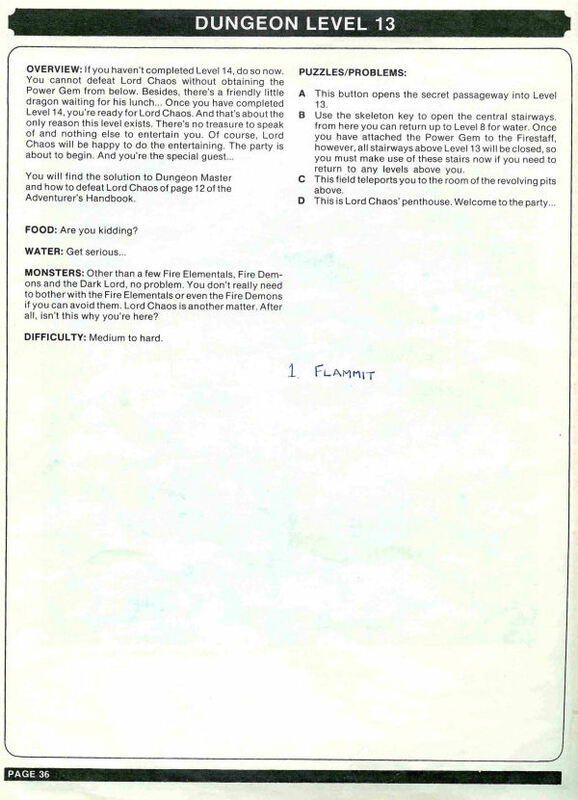 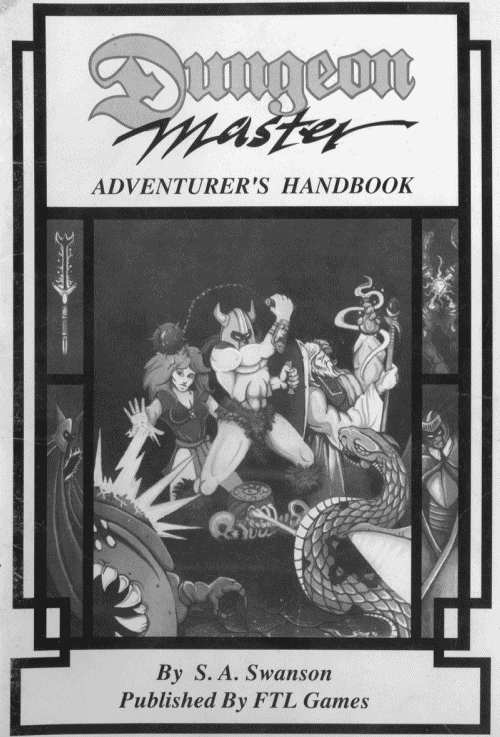 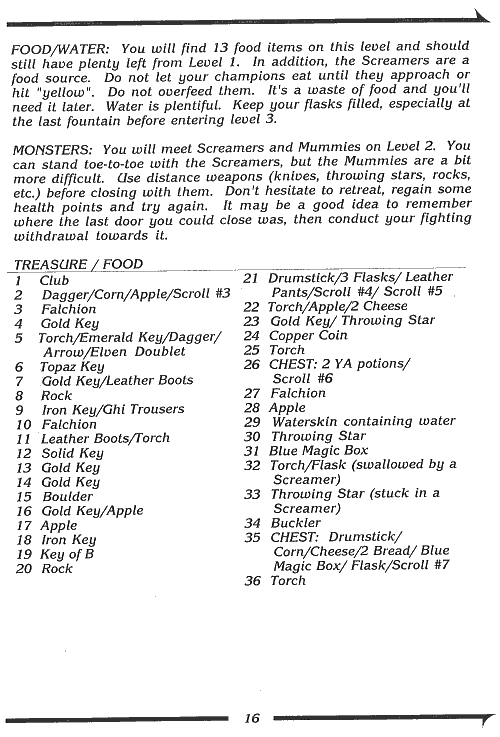 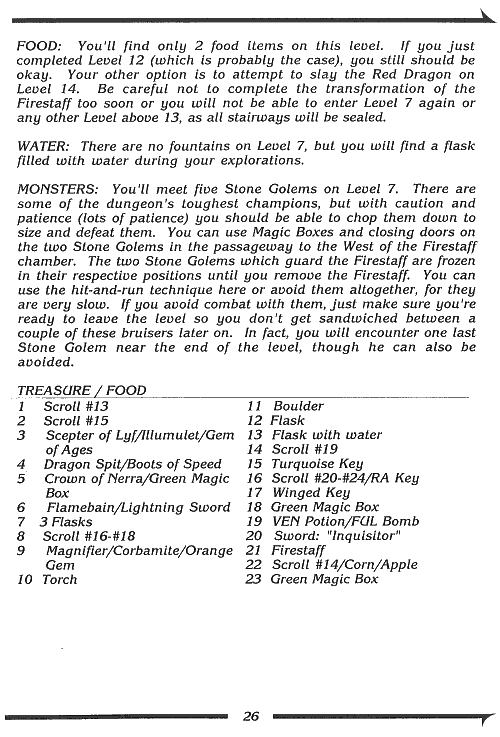 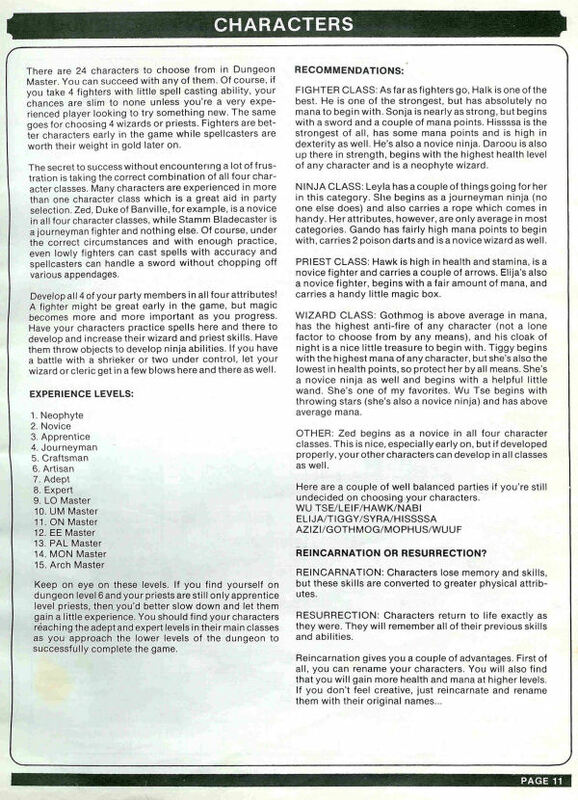 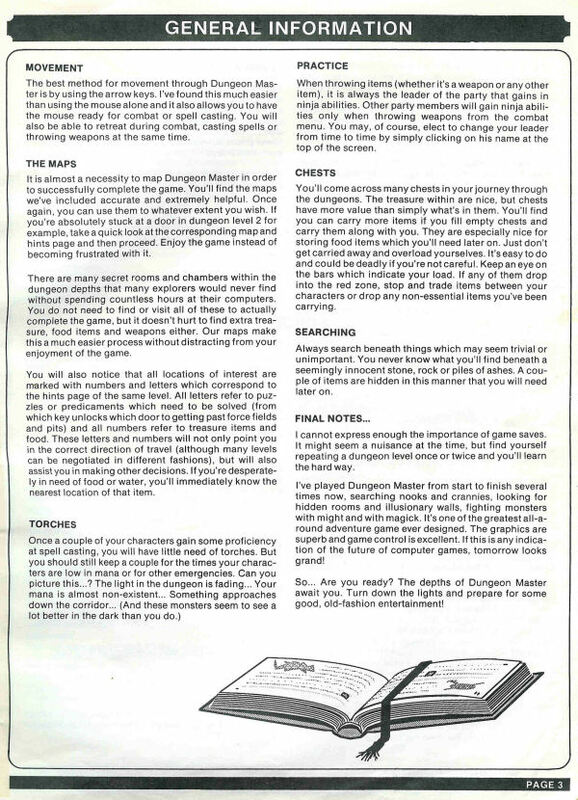 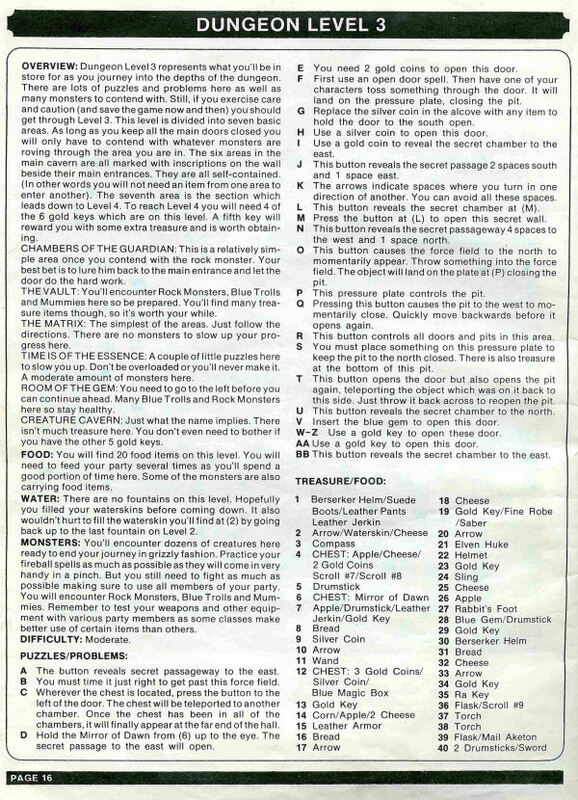 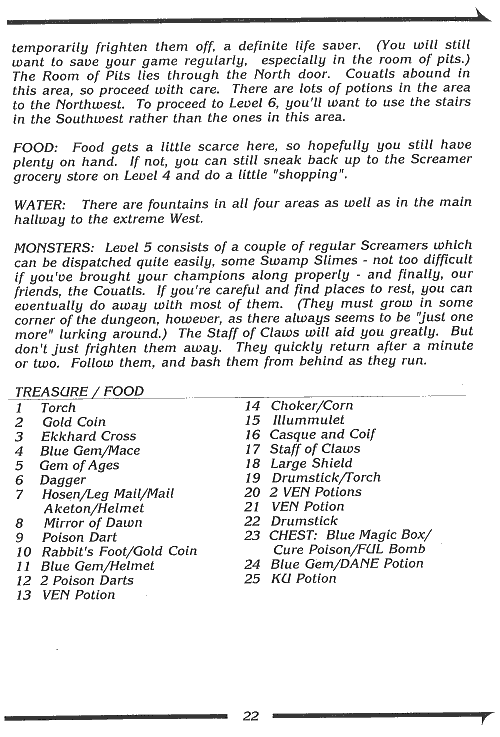 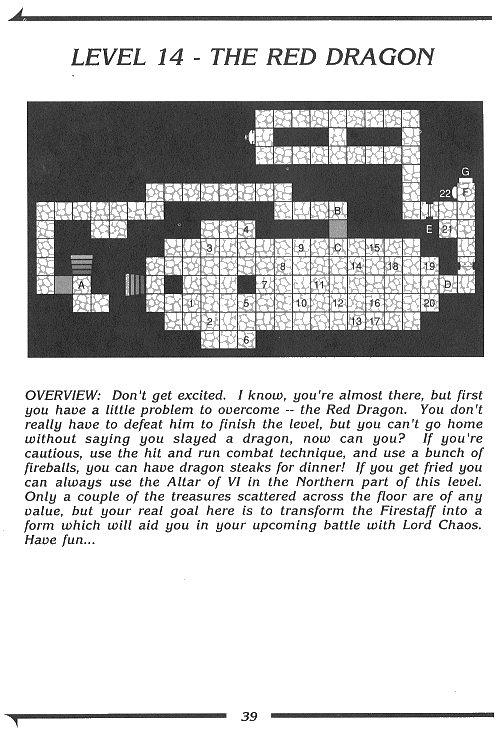 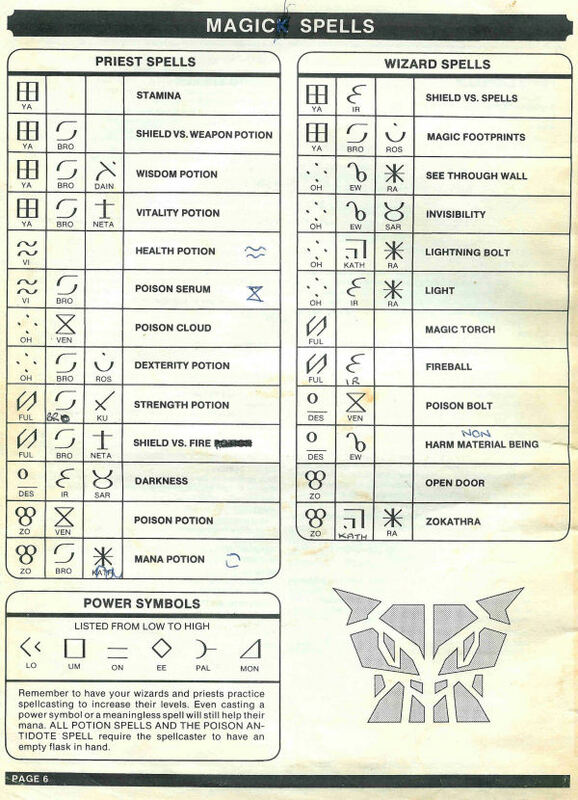 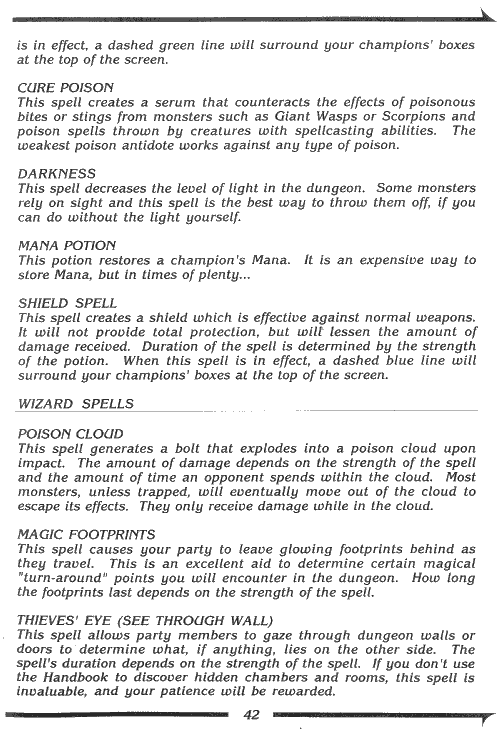 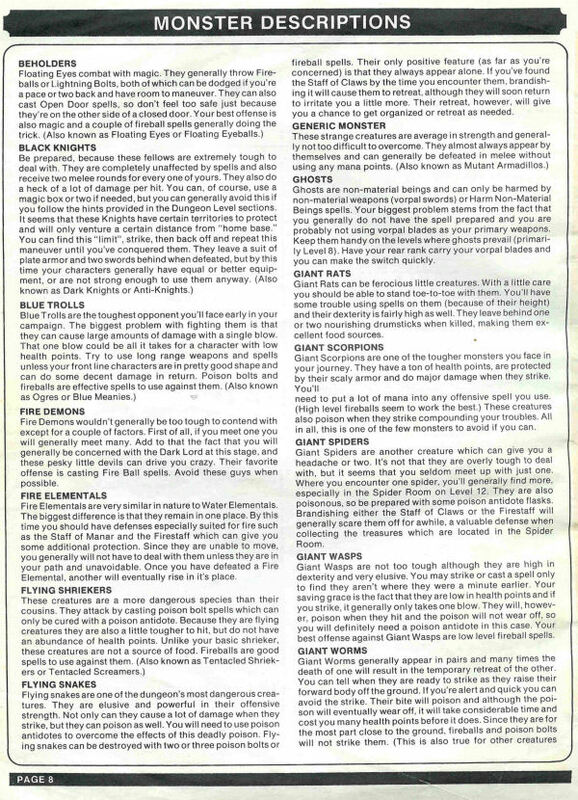 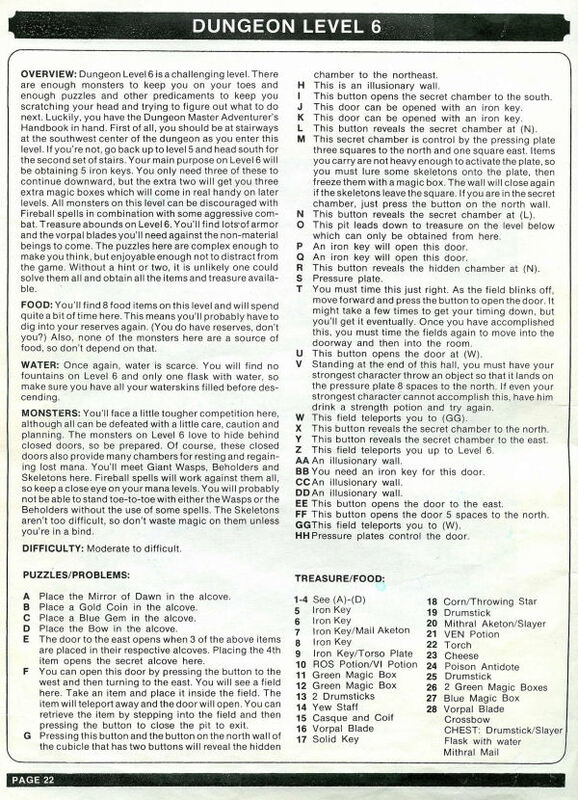 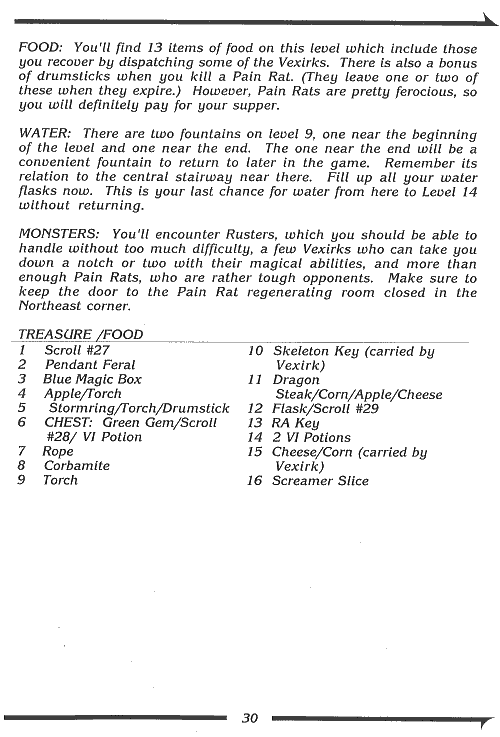 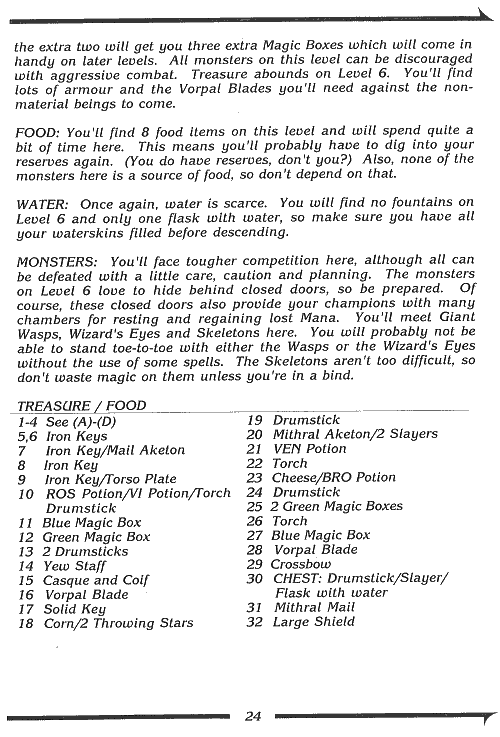 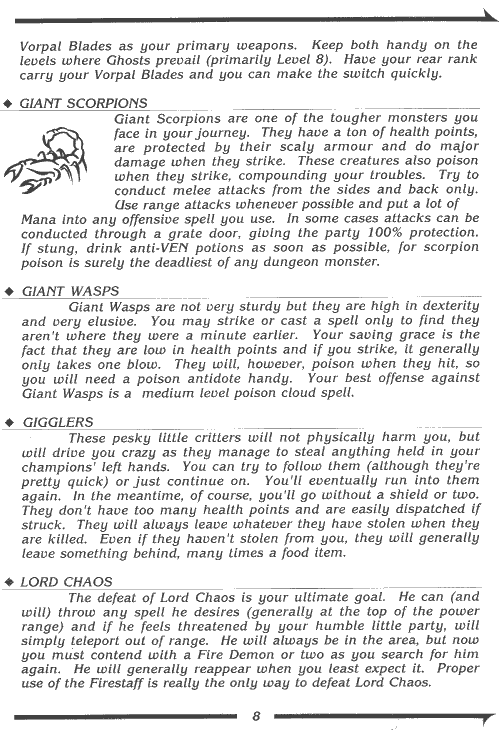 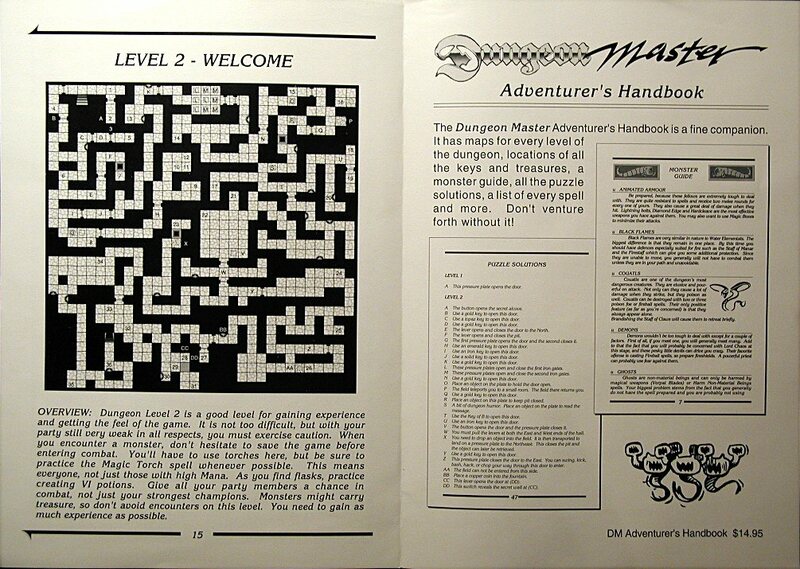 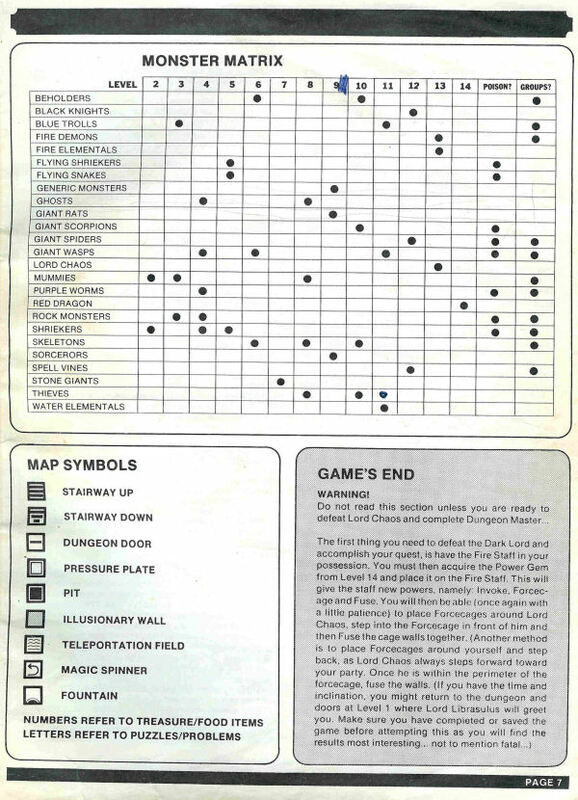 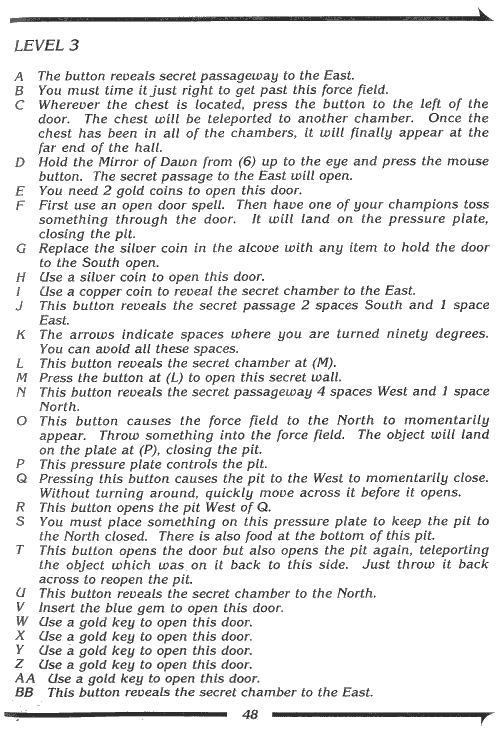 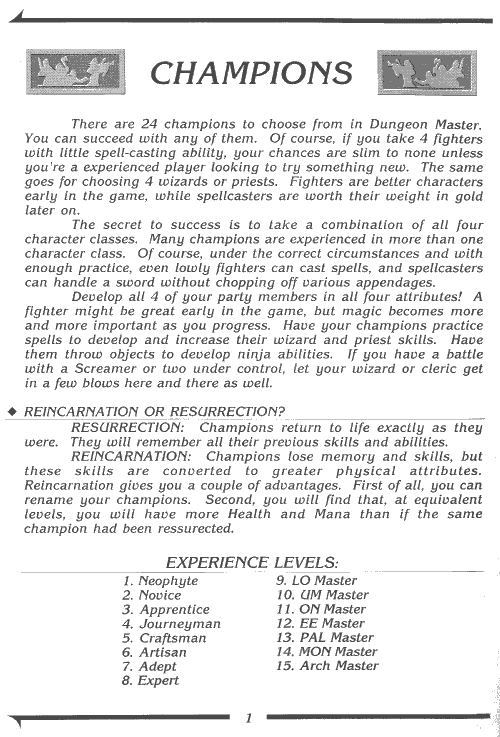 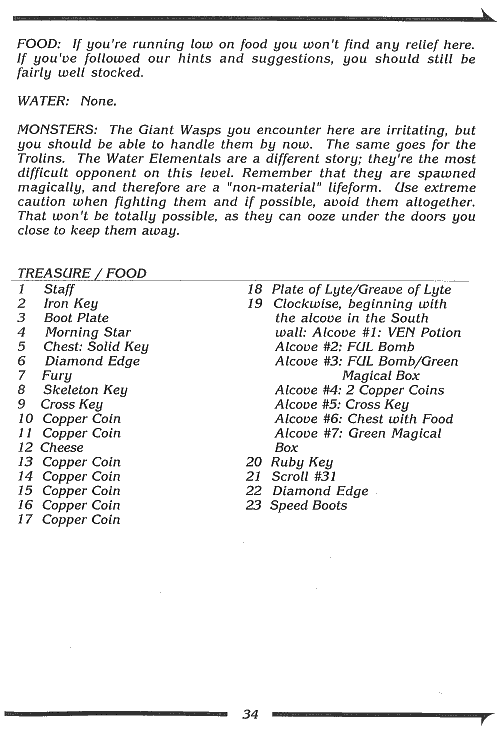 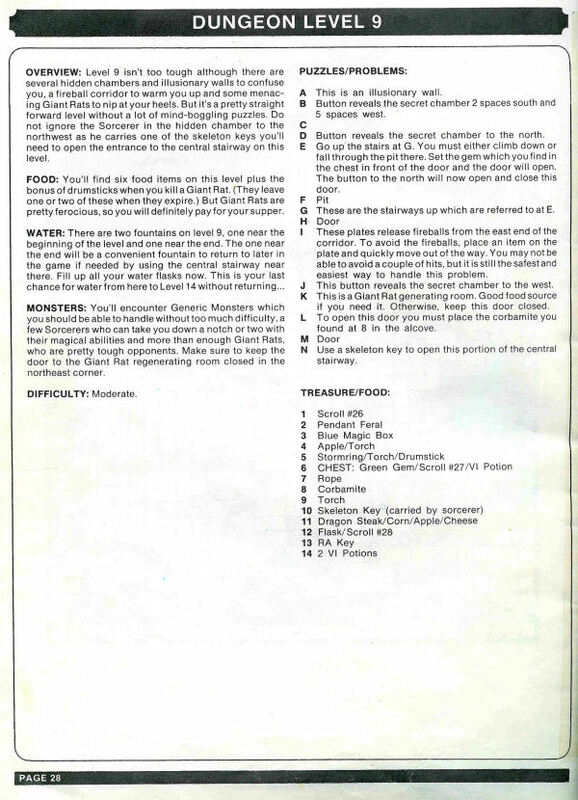 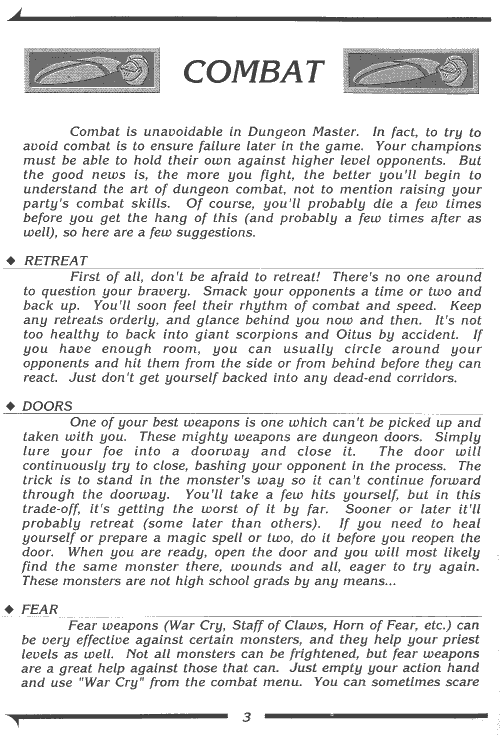 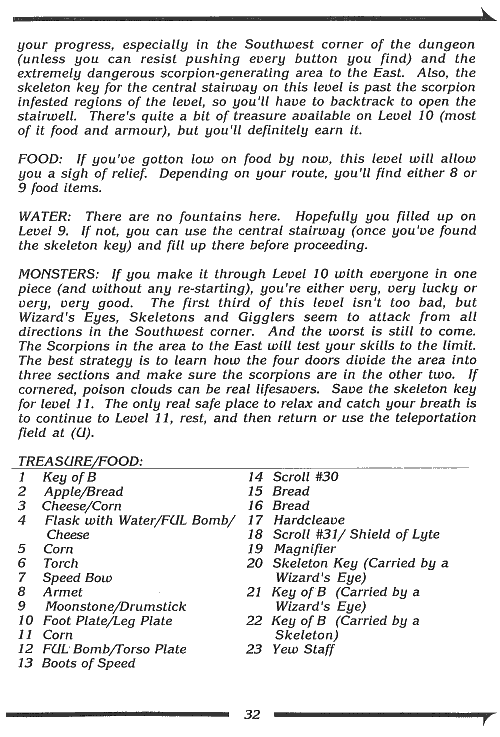 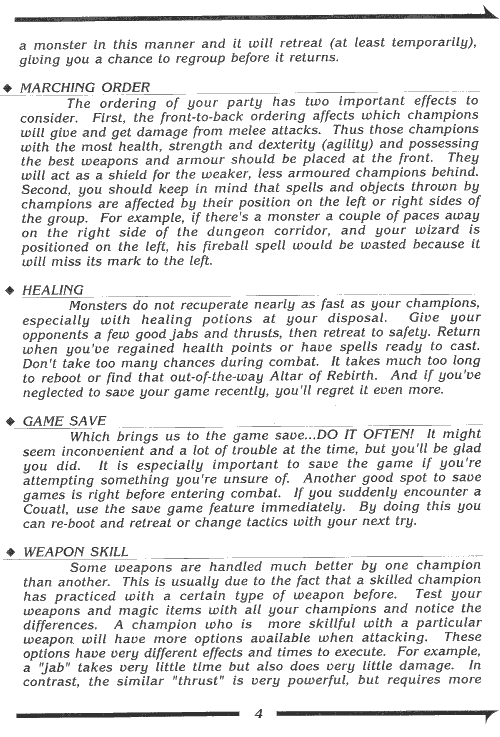 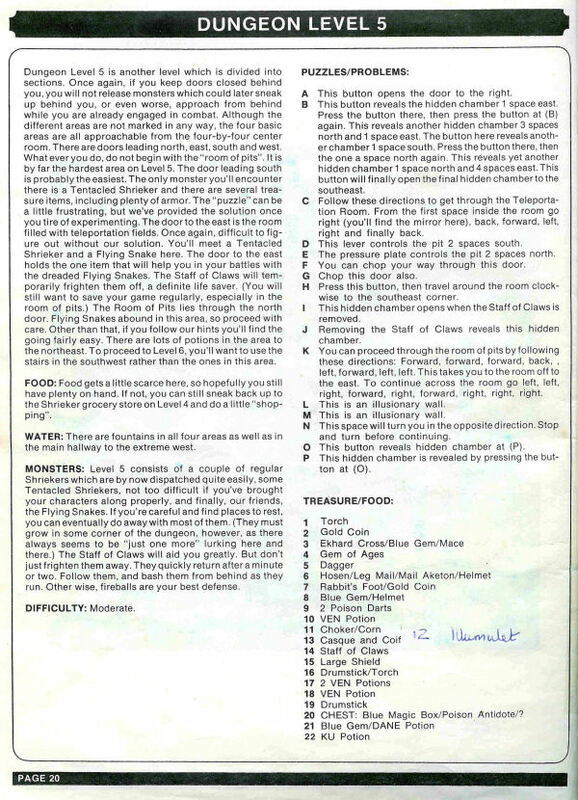 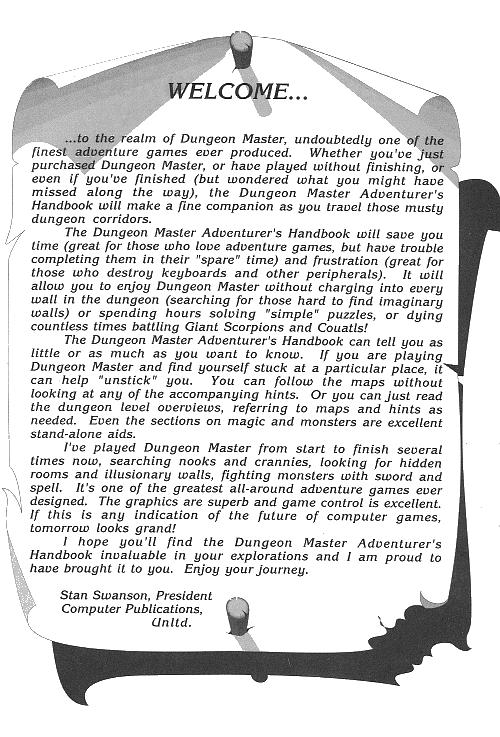 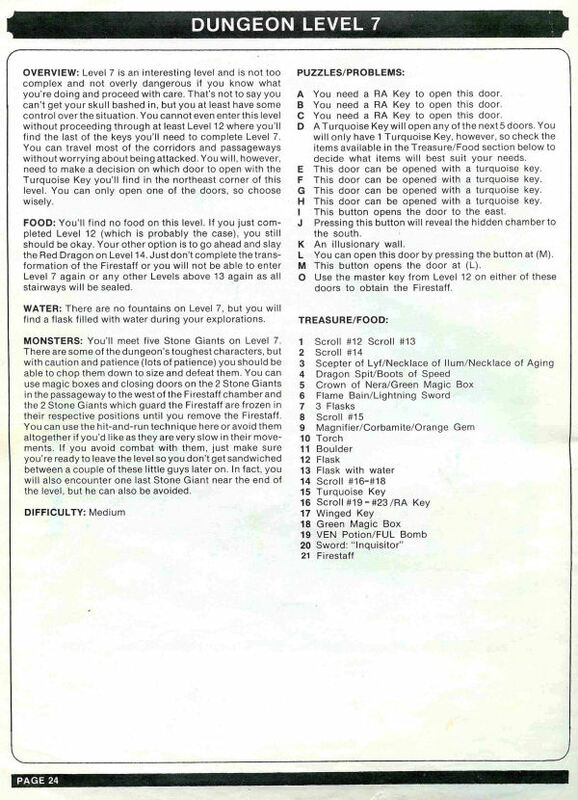 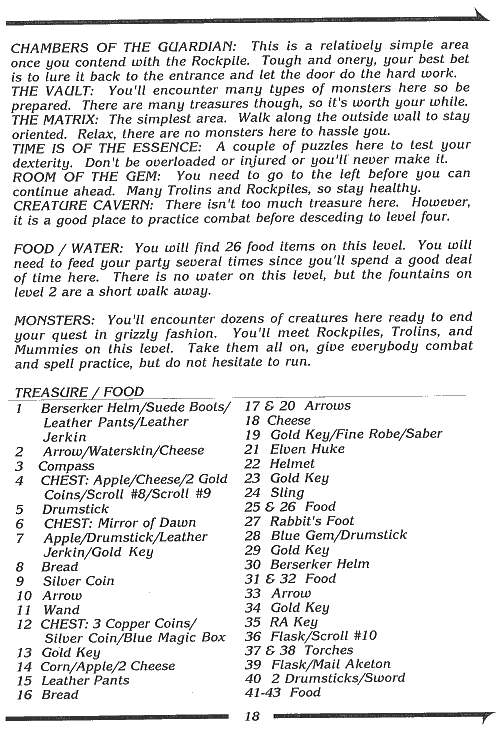 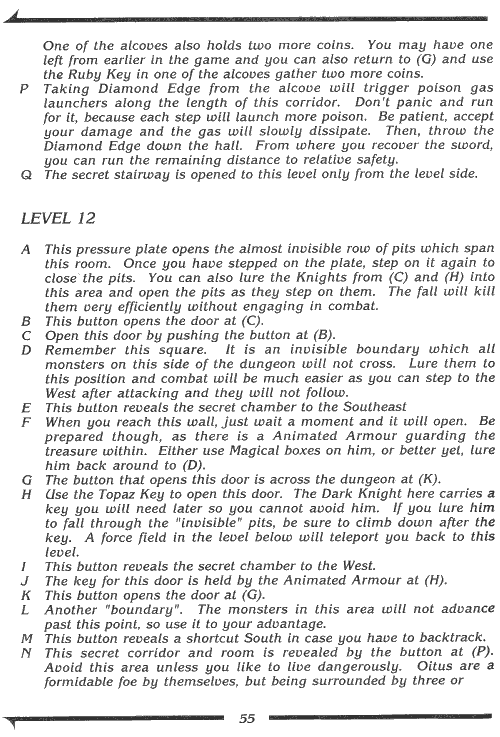 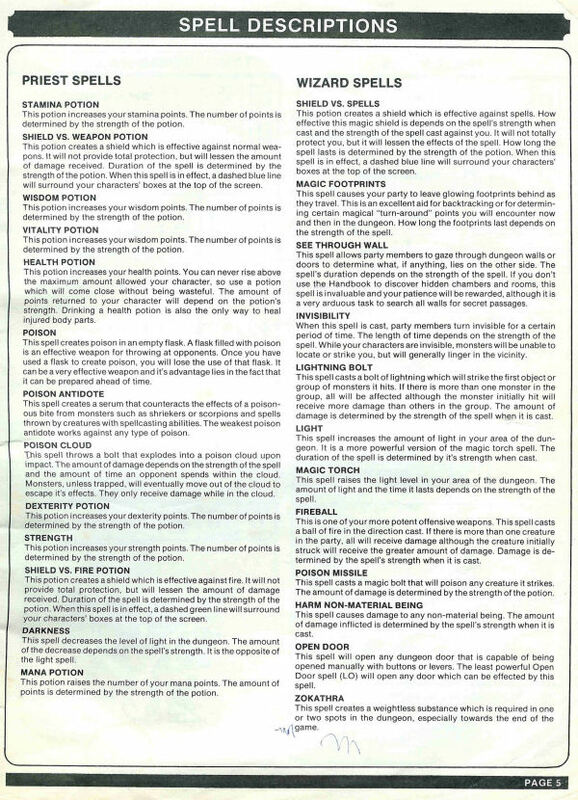 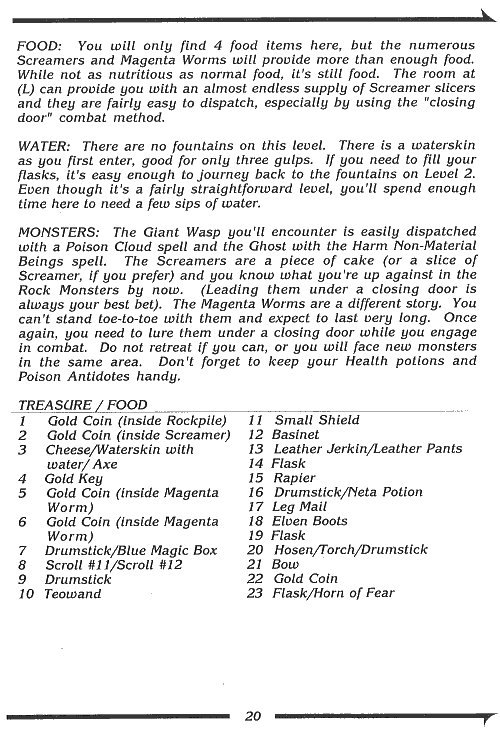 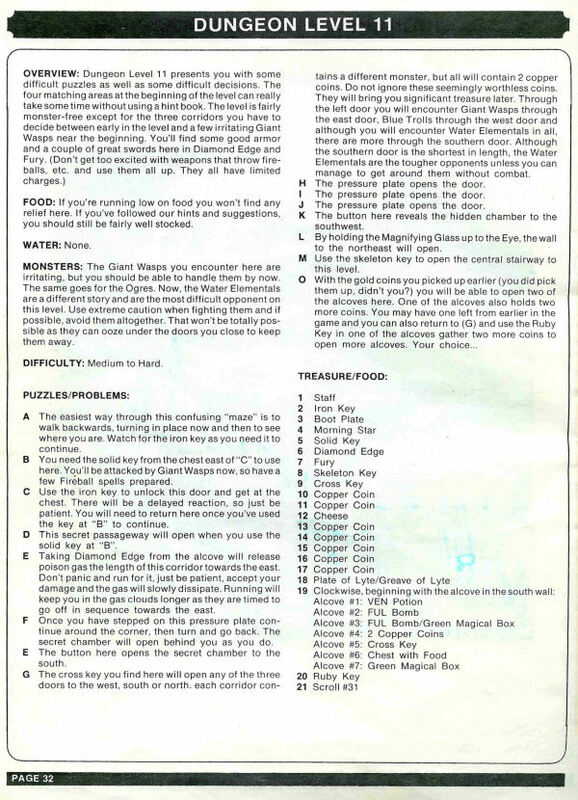 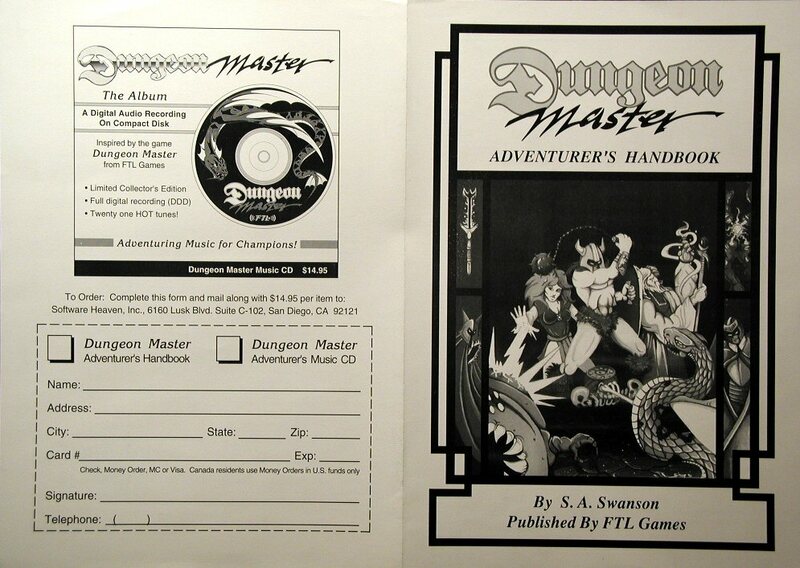 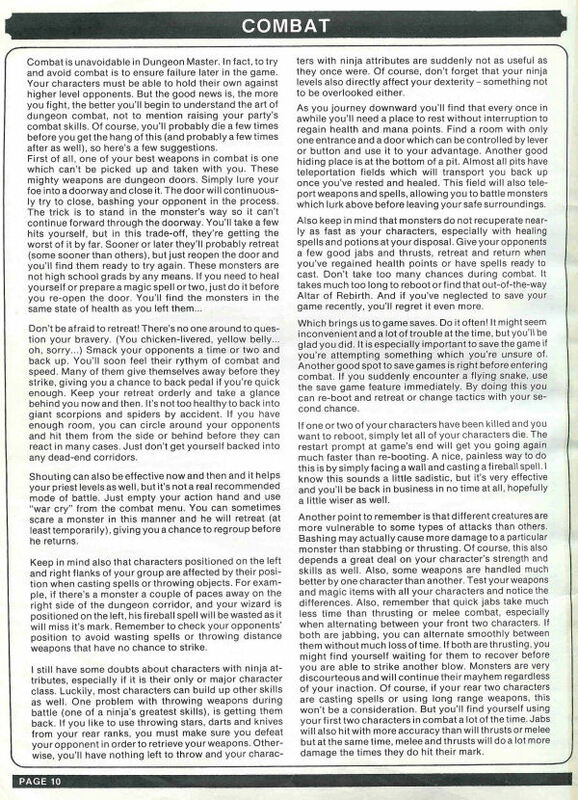 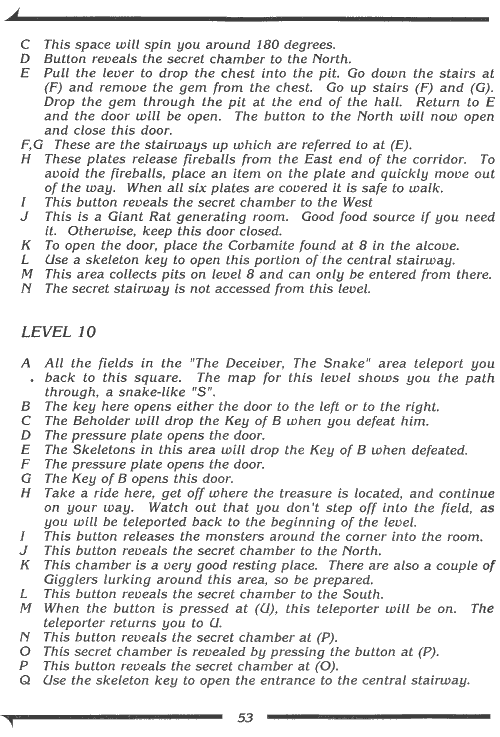 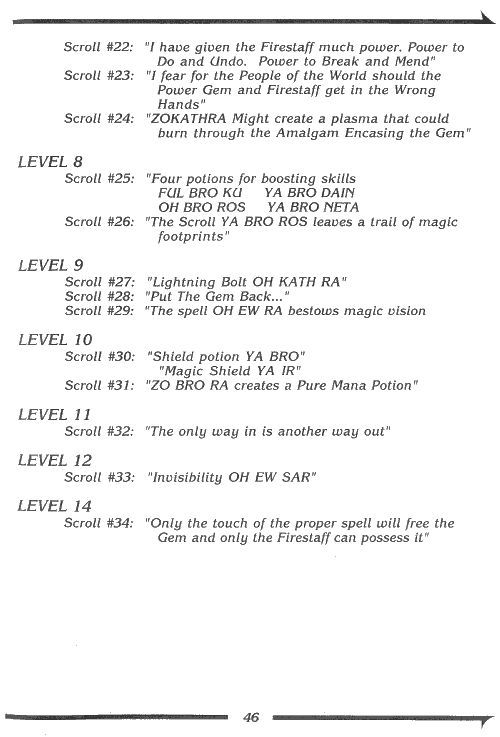 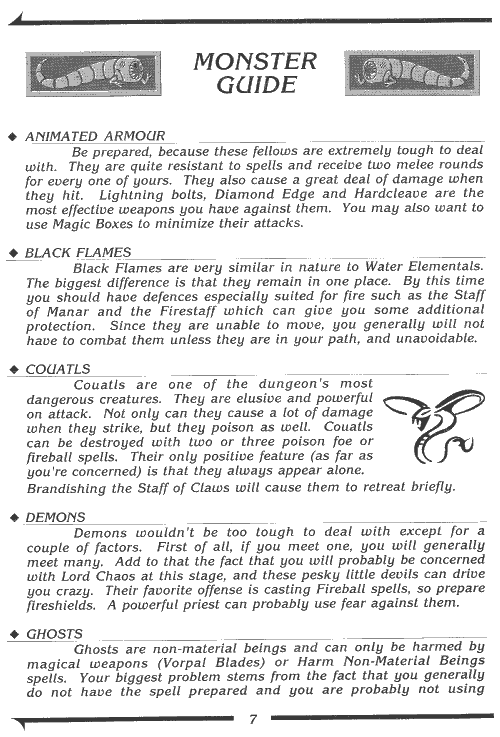 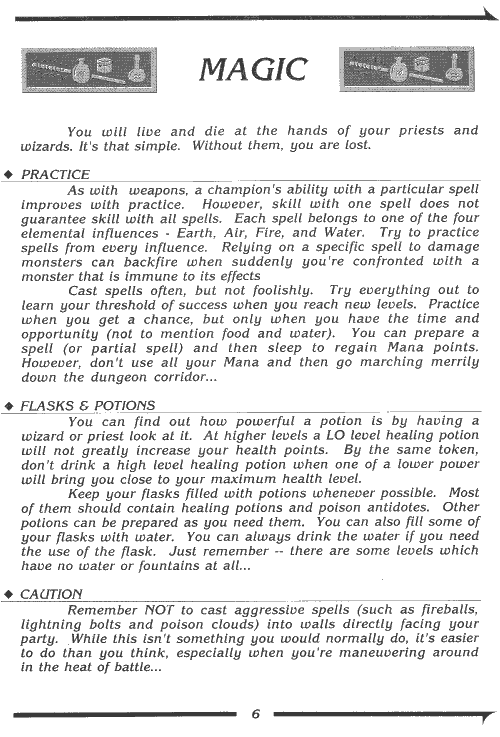 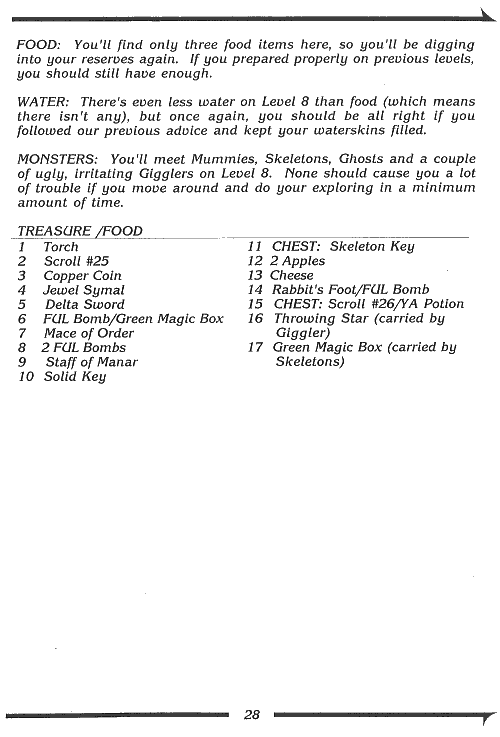 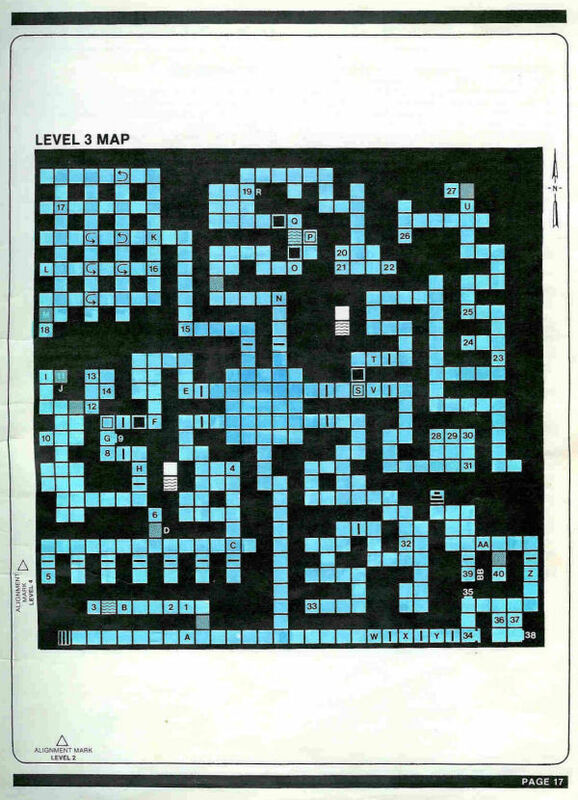 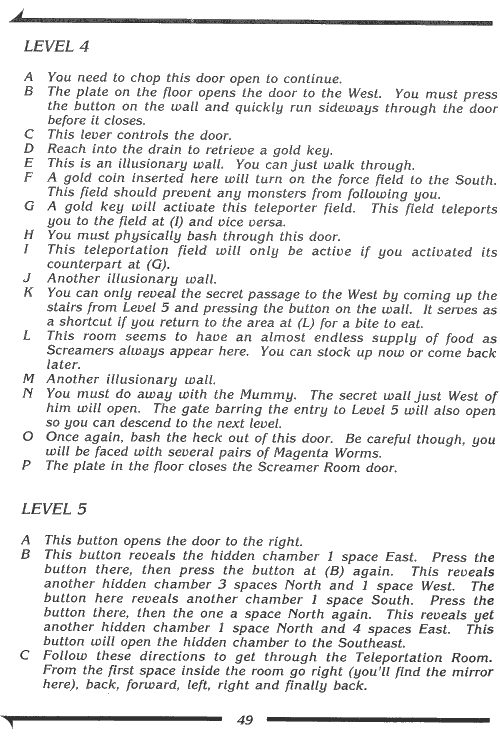 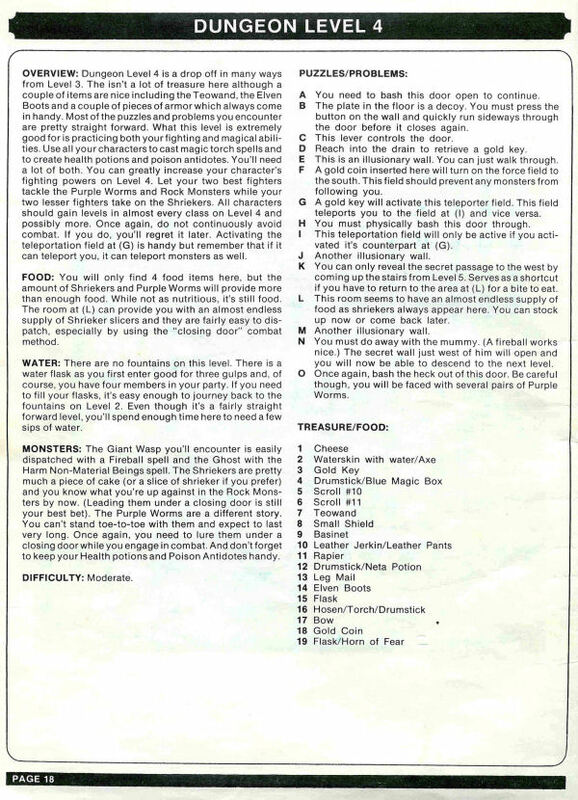 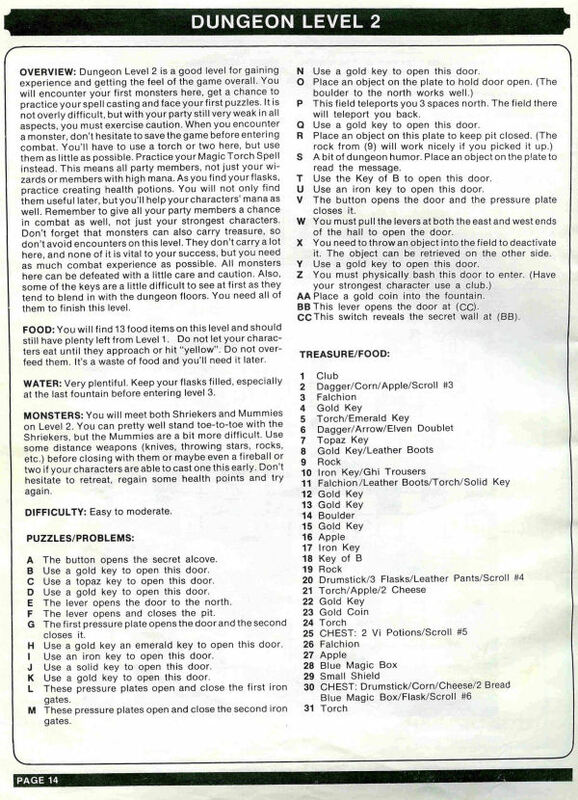 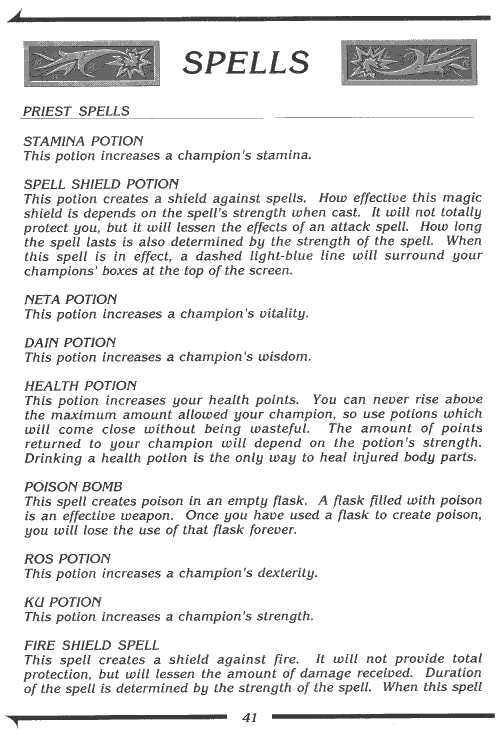 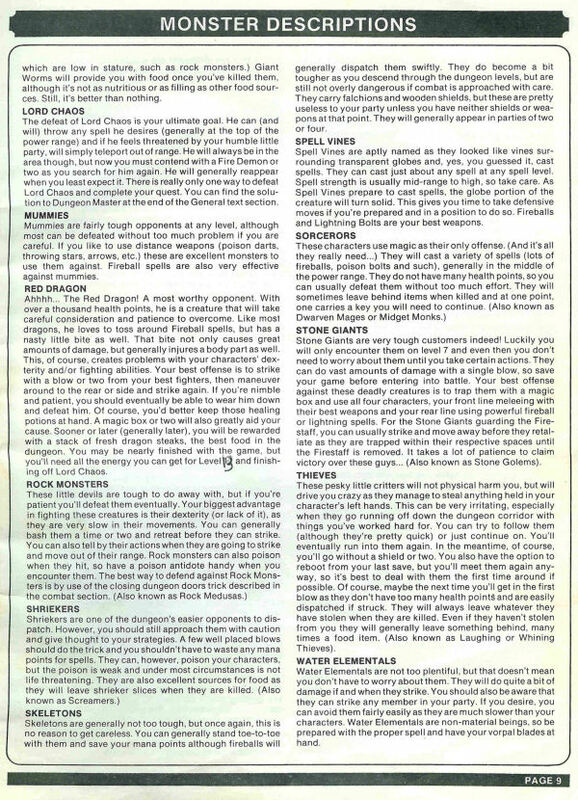 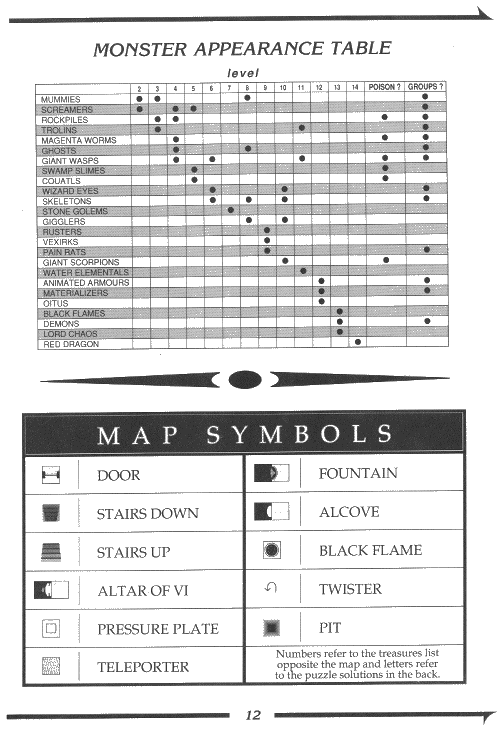 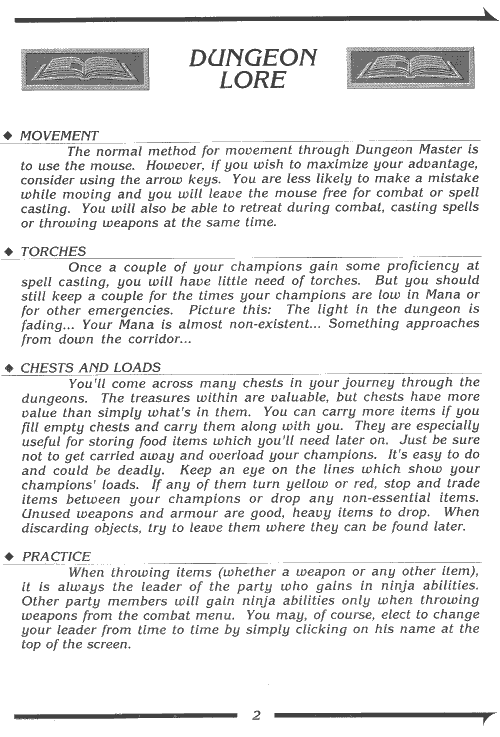 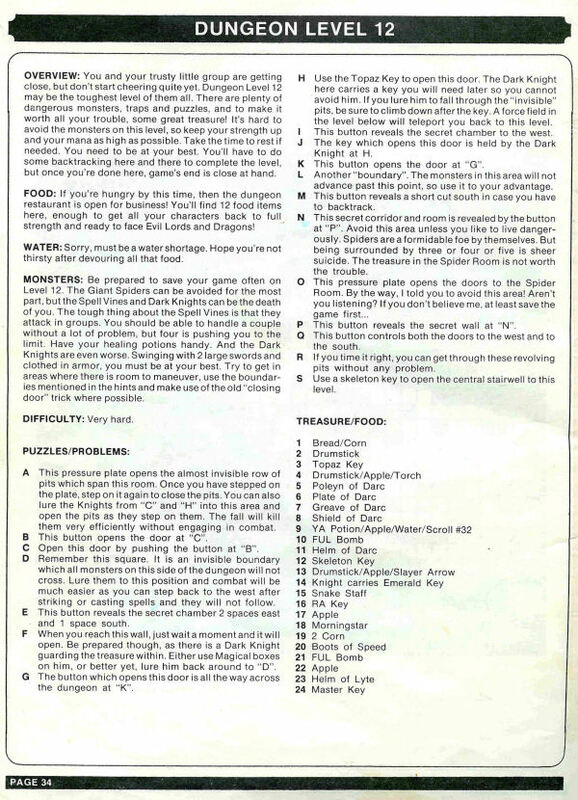 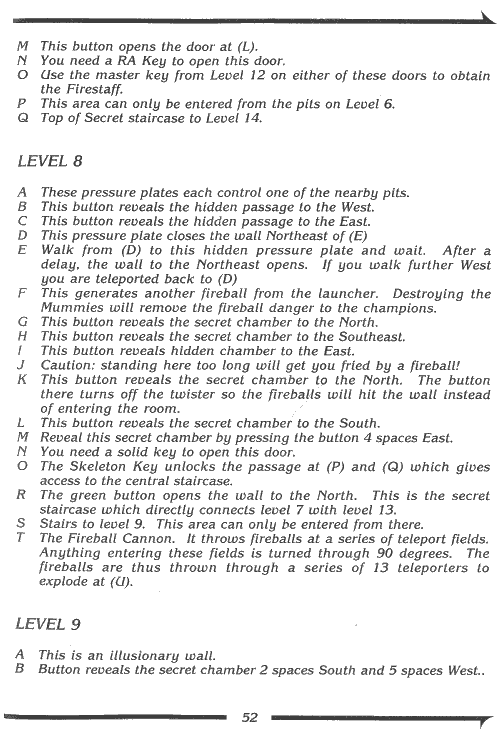 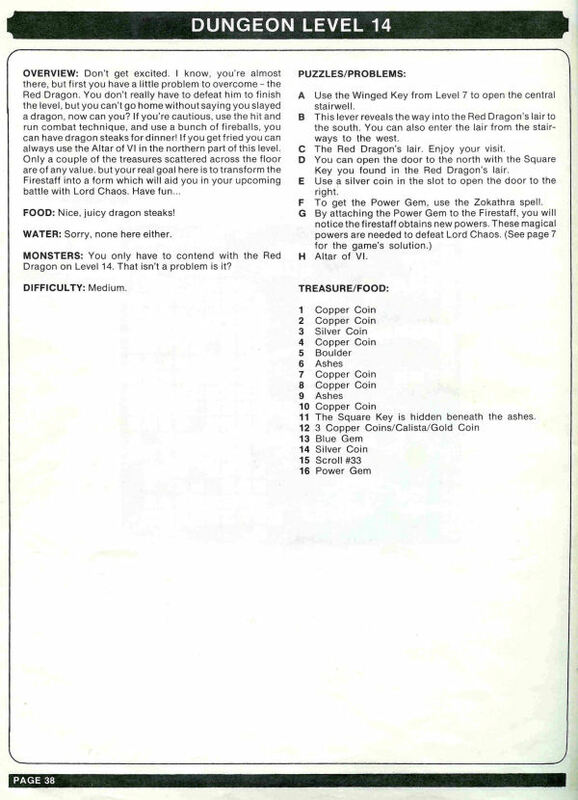 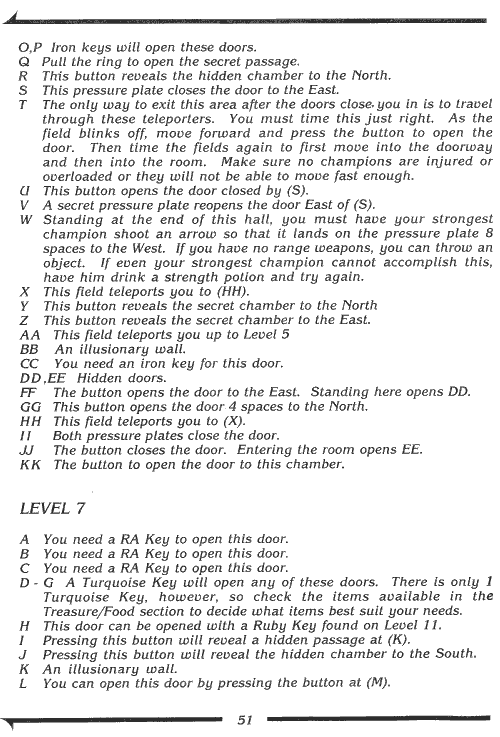 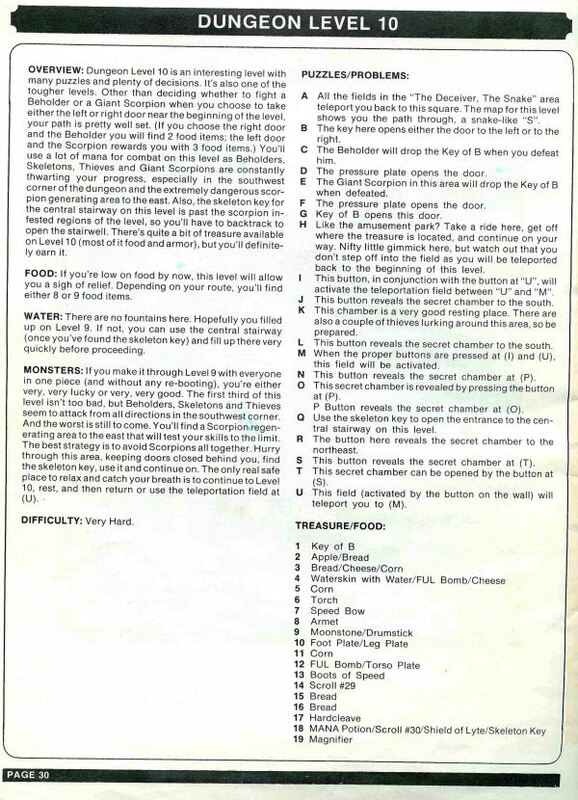 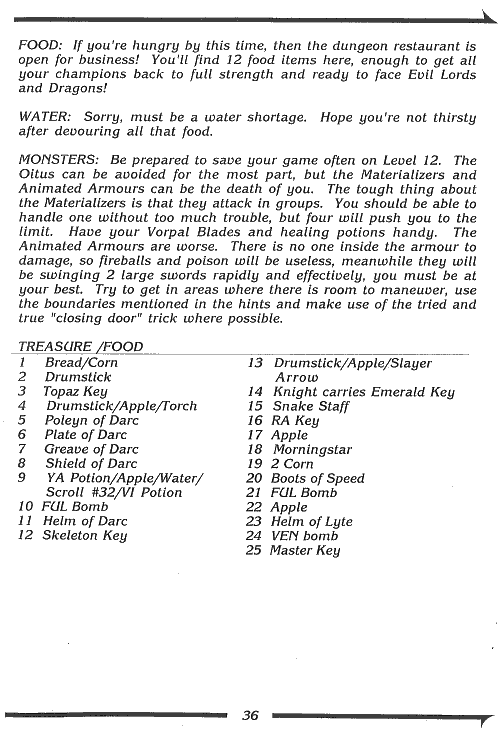 everything you need to know to conquer and enjoy Dungeon Master. 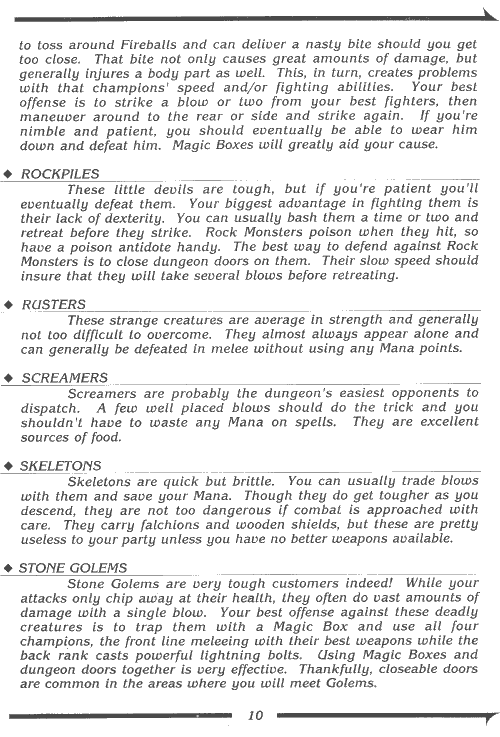 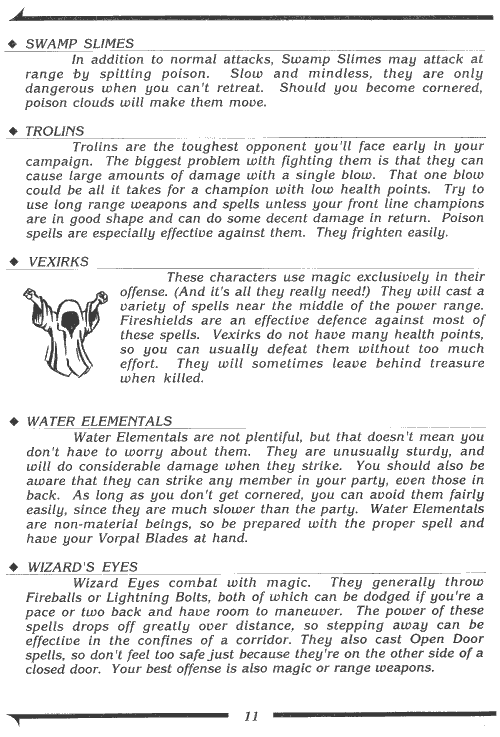 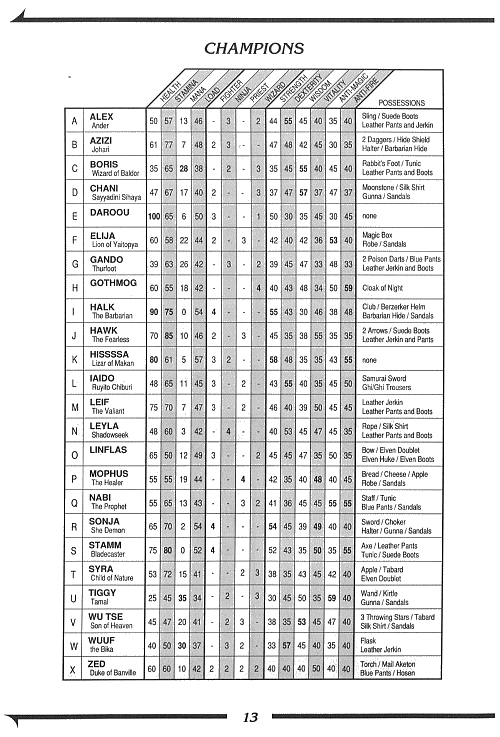 suggestions for forming a strong party along with other valuable tips. 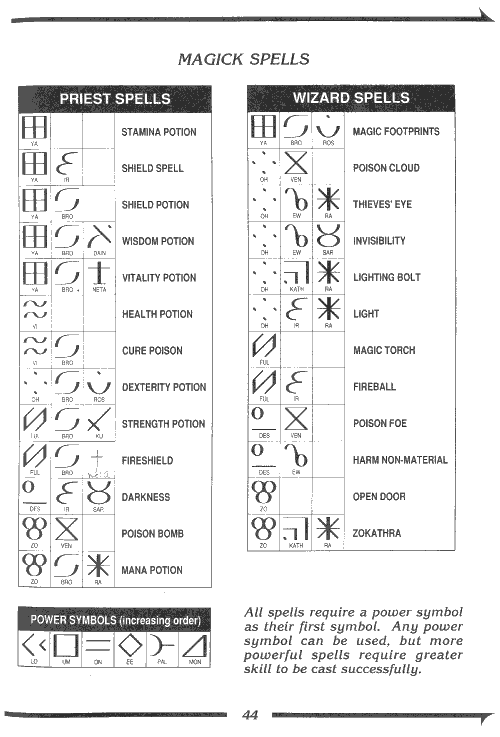 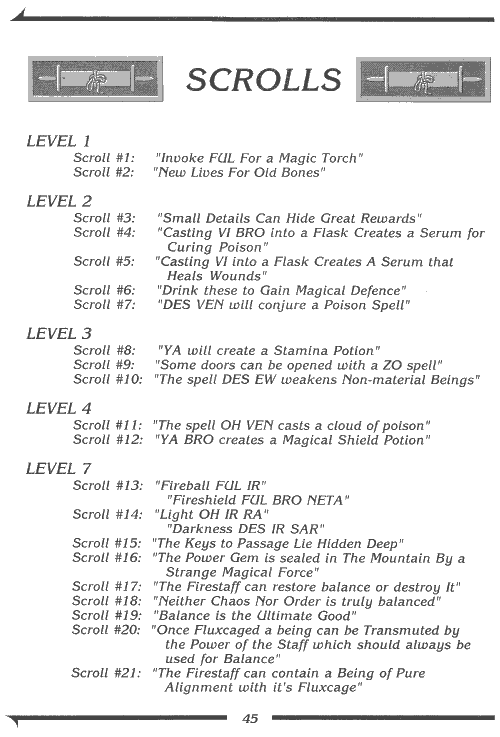 retreat, and what weapons and spells to concentrate on. 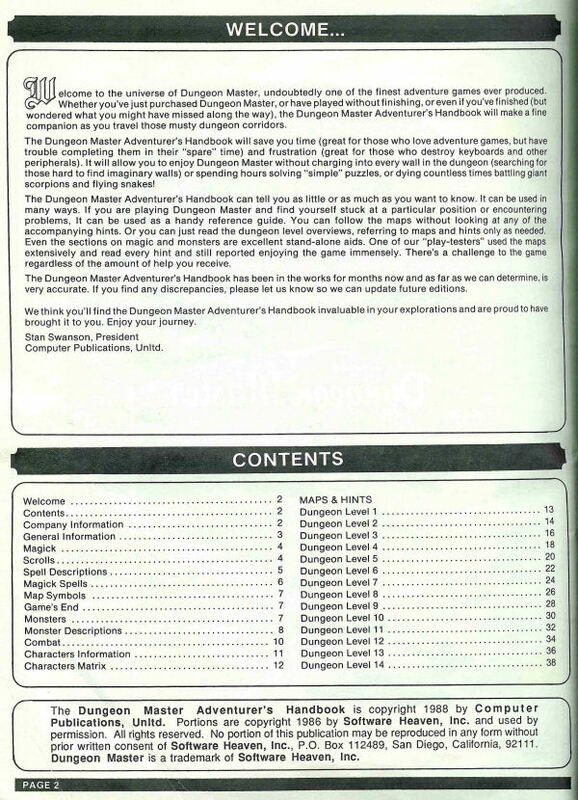 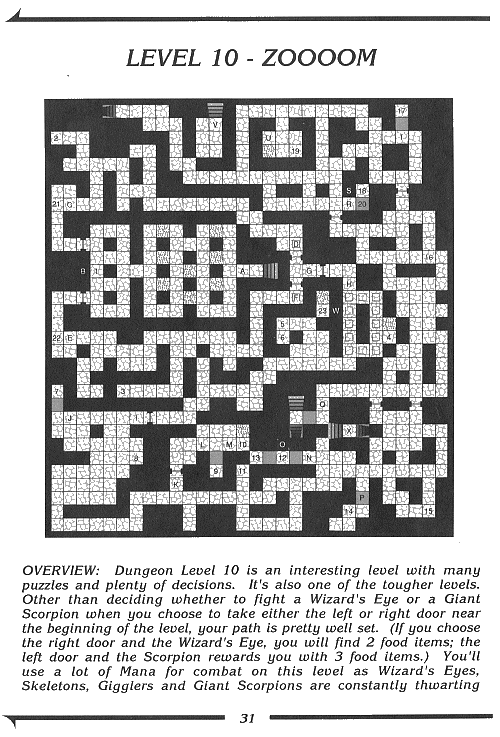 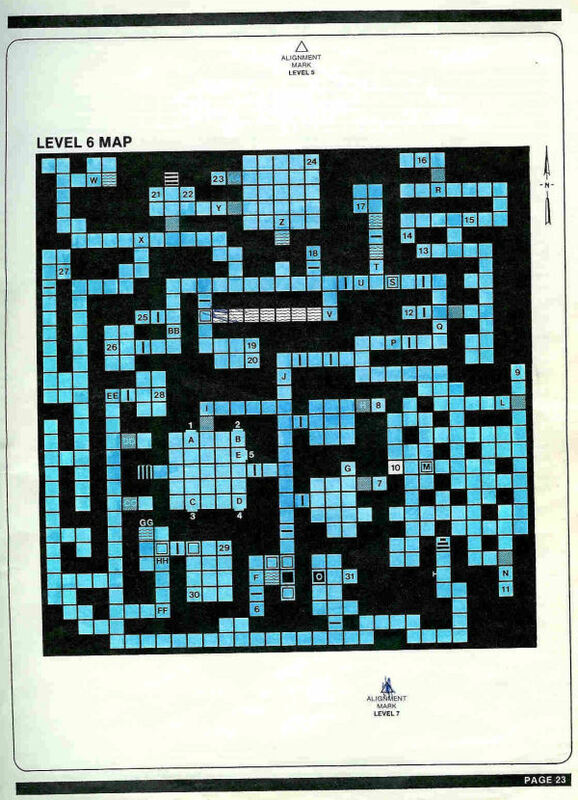 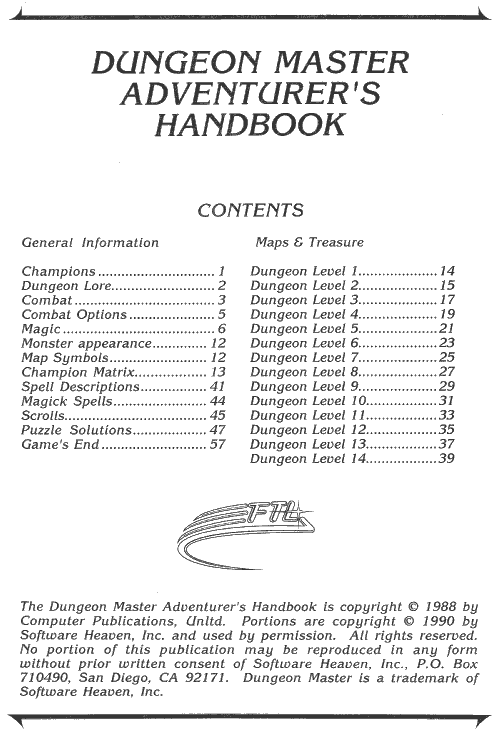 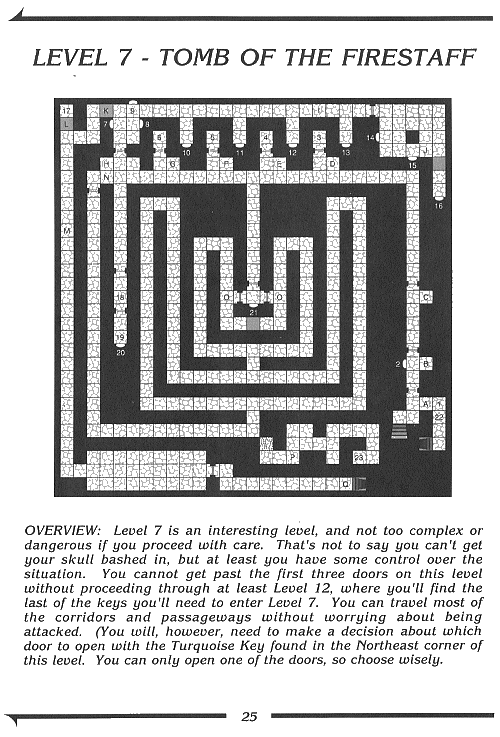 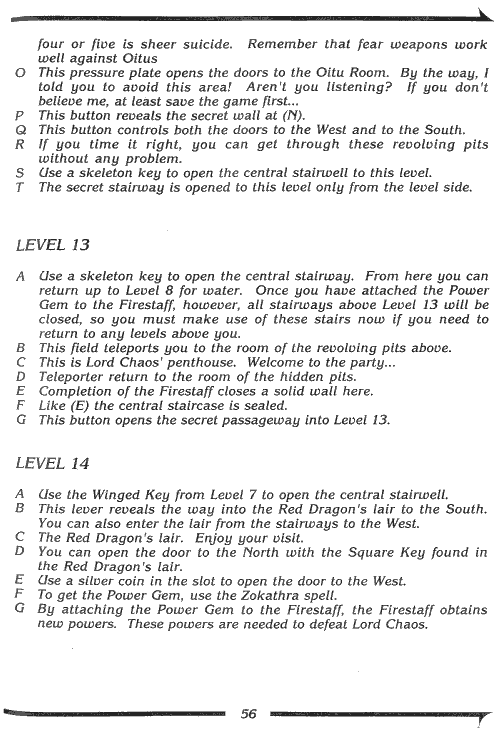 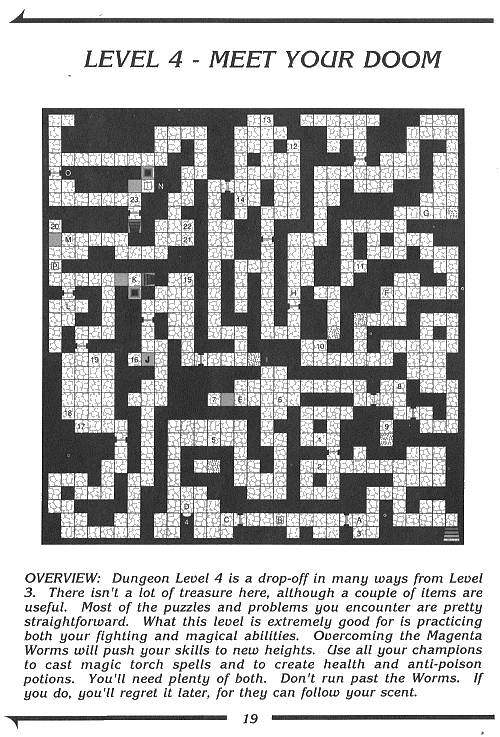 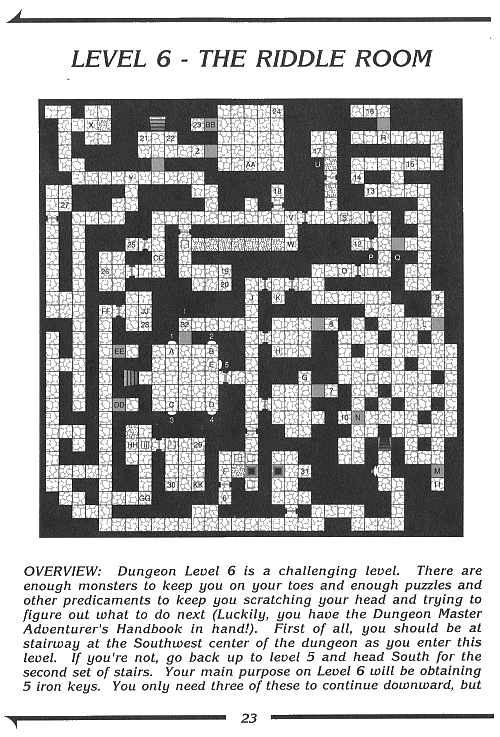 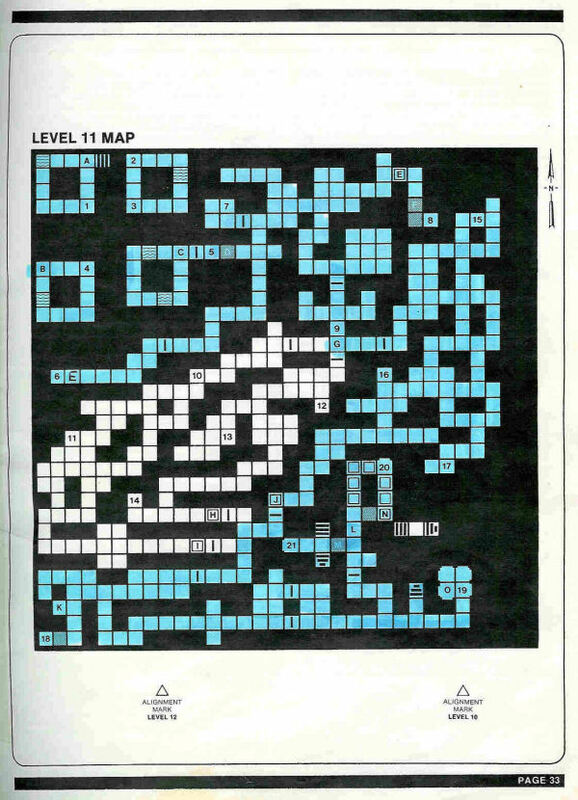 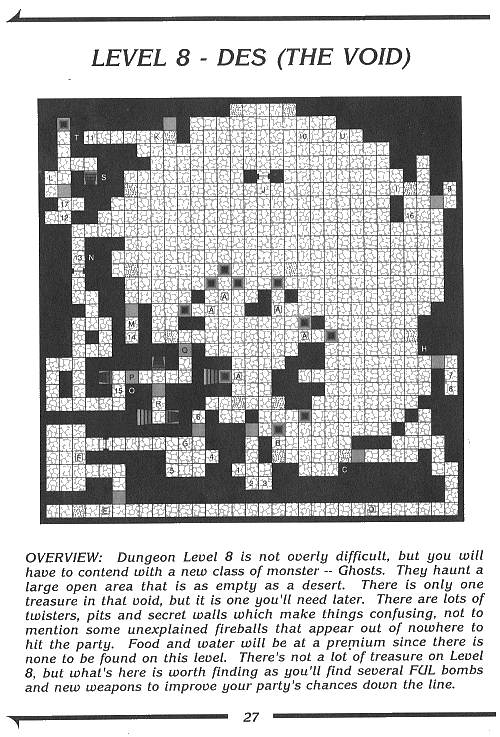 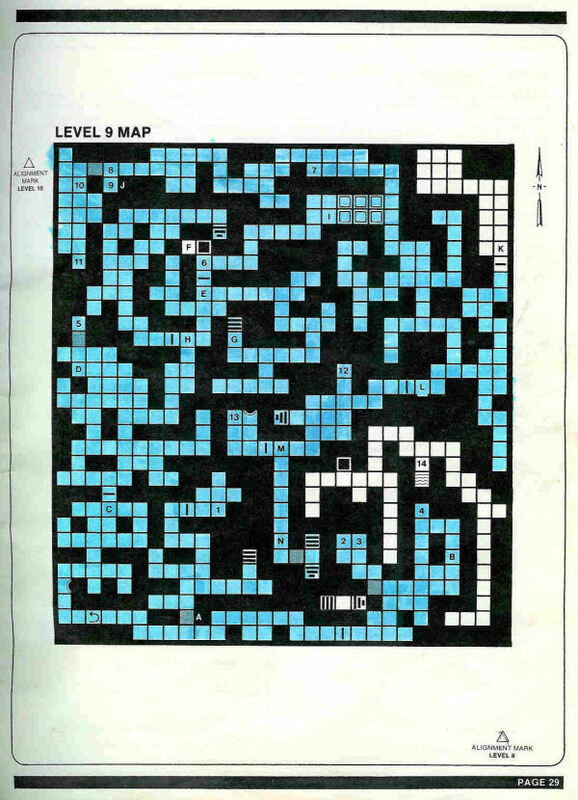 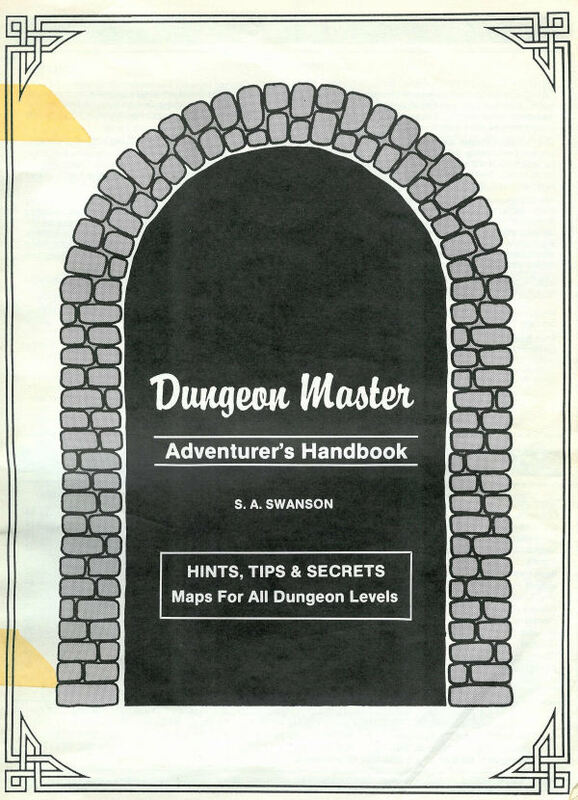 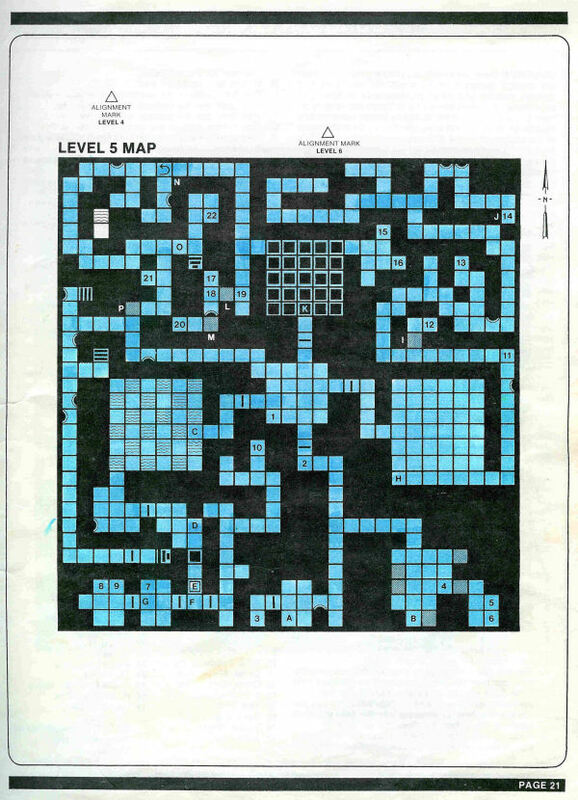 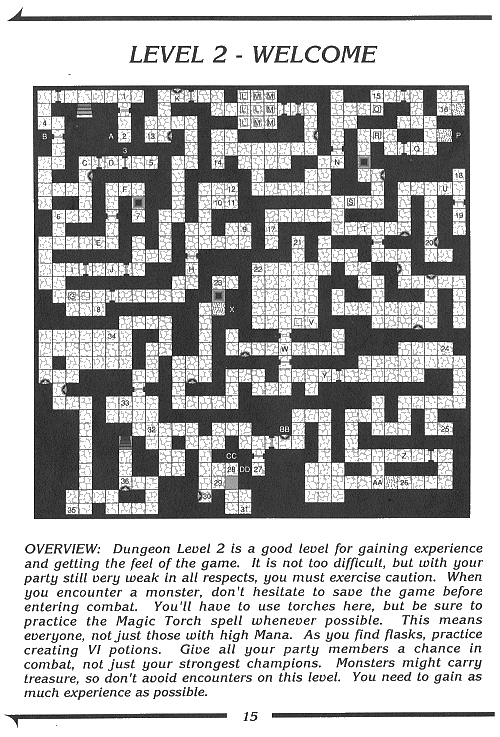 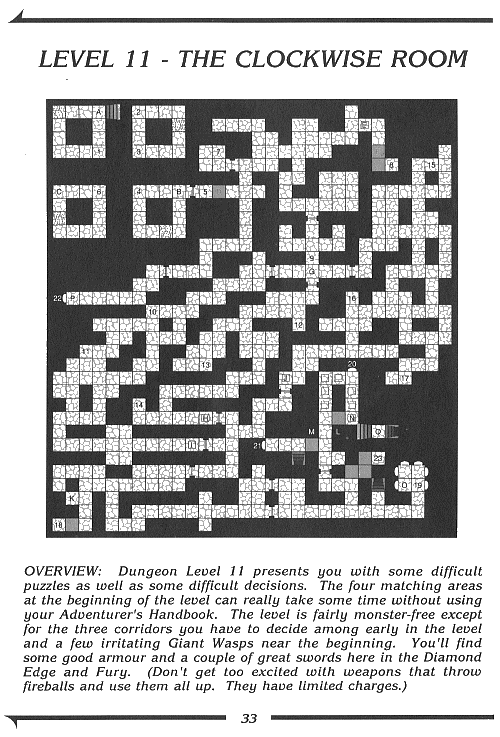 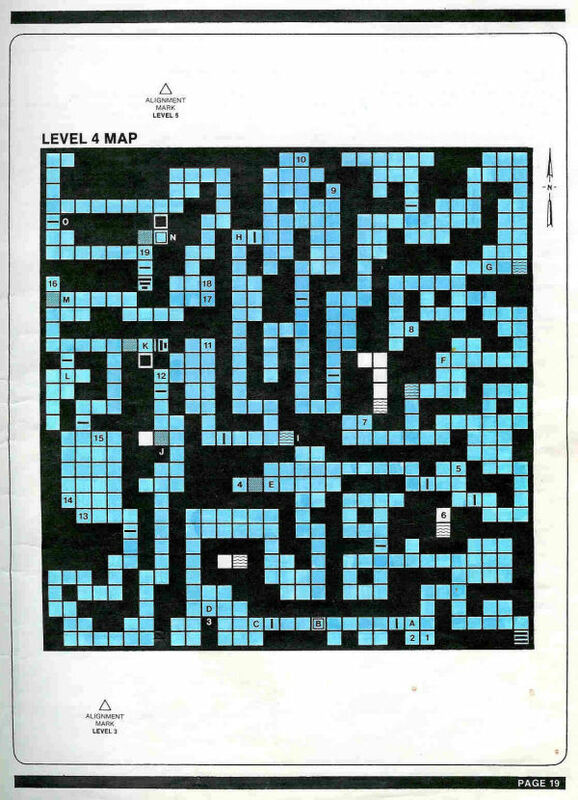 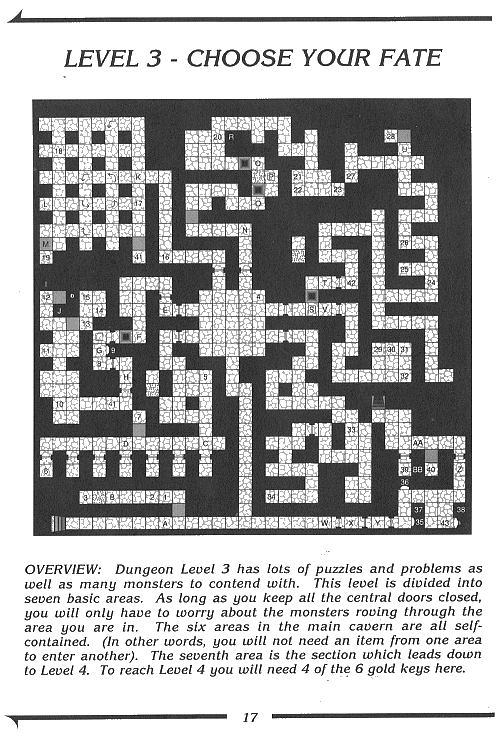 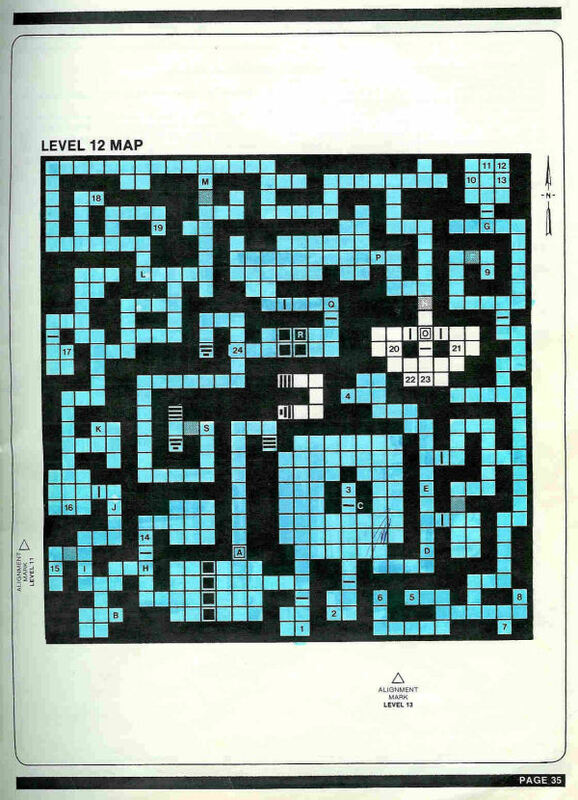 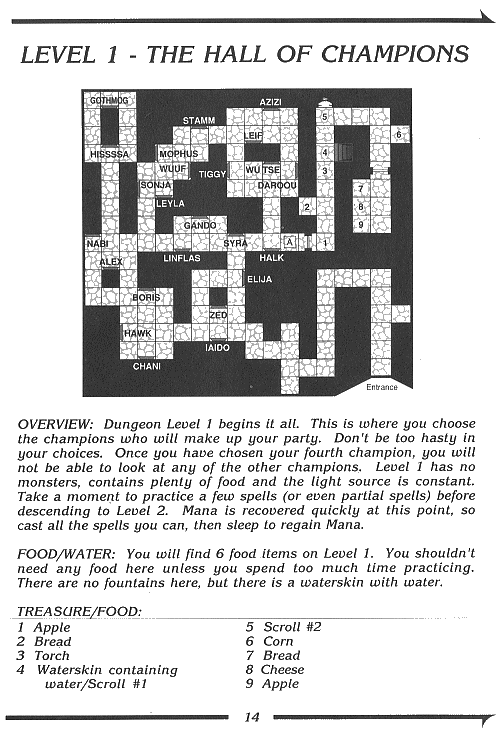 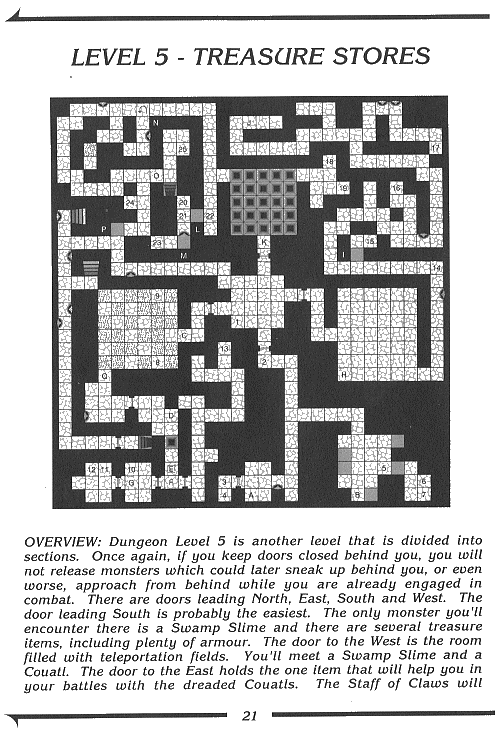 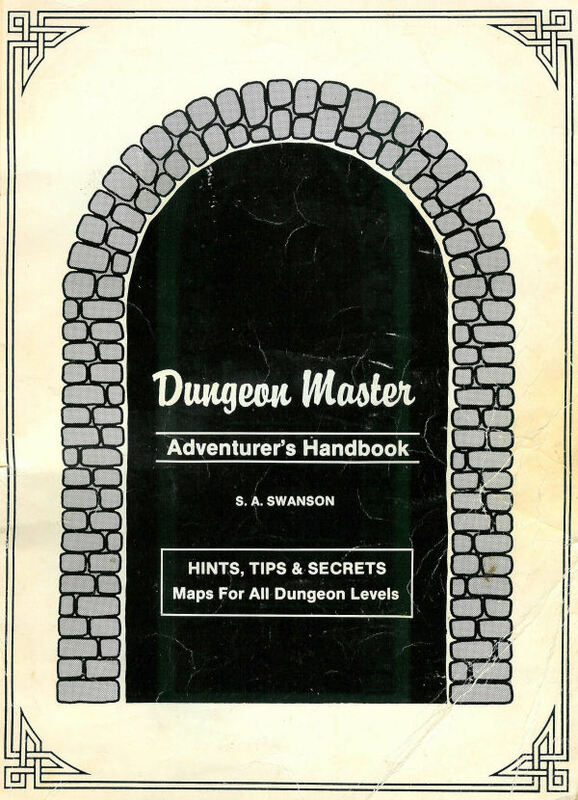 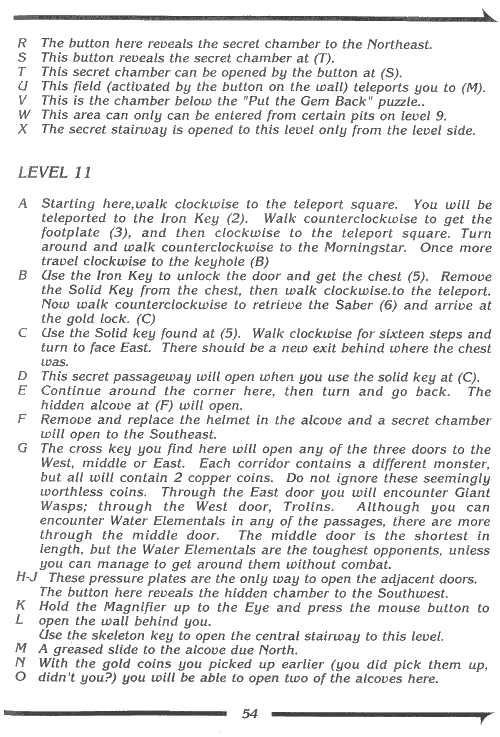 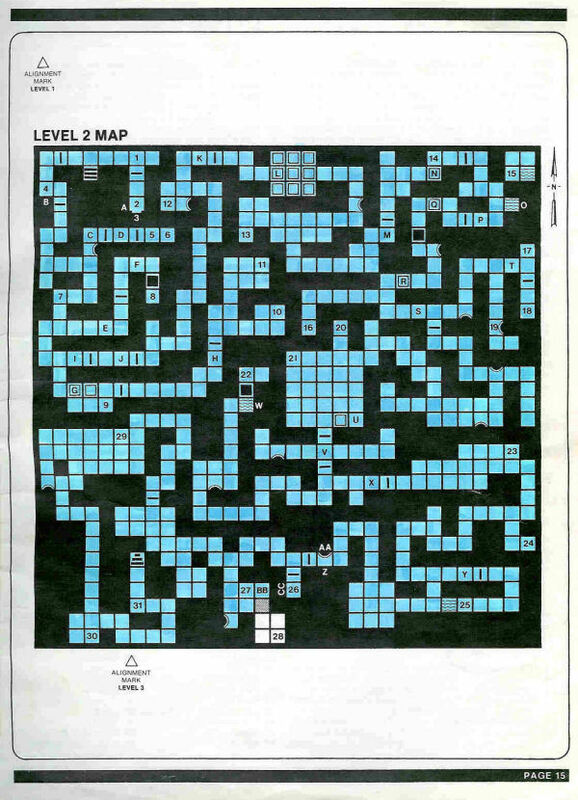 dungeon levels and lets you keep those pages you need within easy reach.